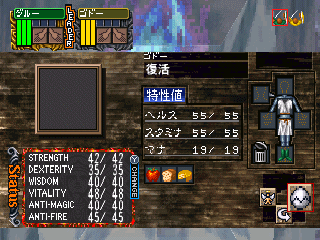 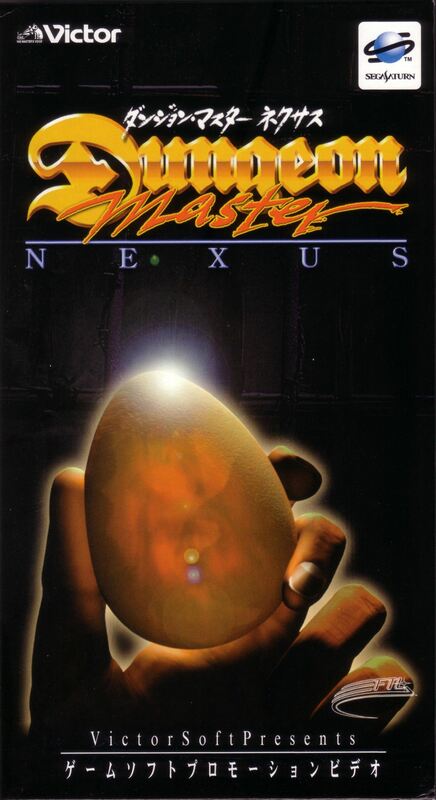 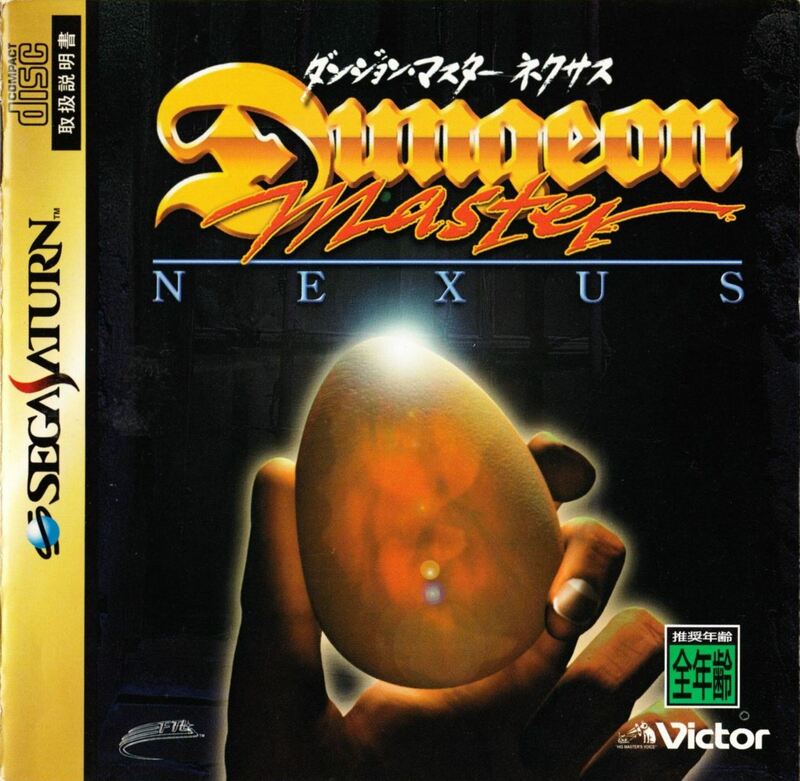 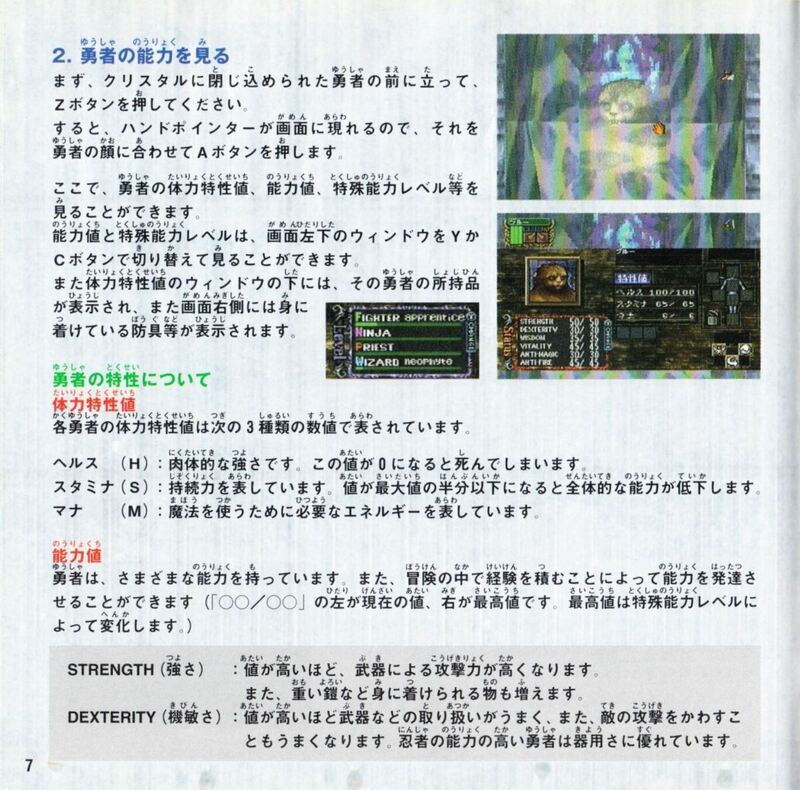 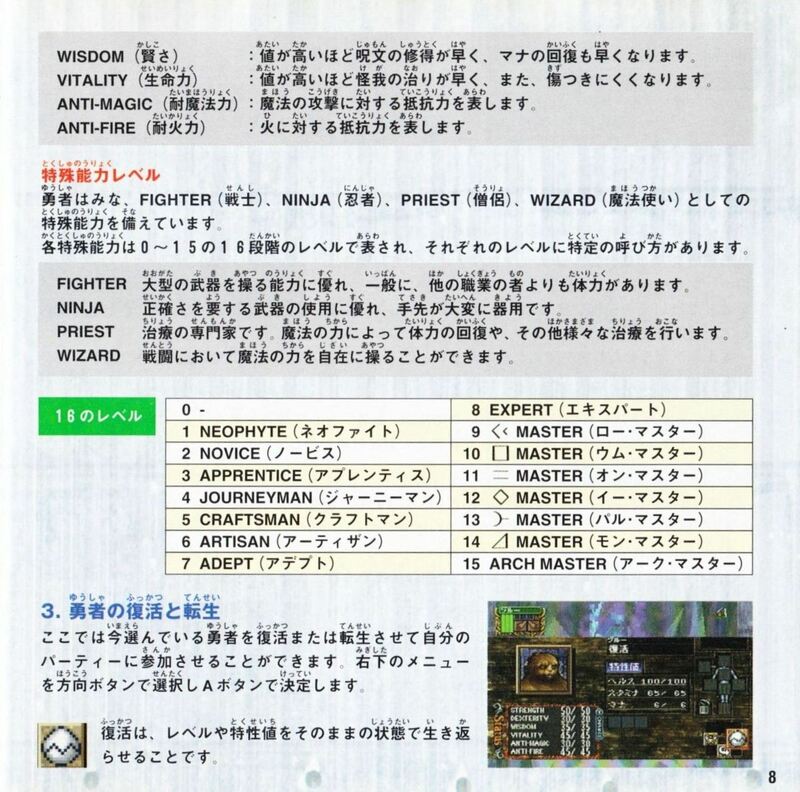 Dungeon Master Nexus is a Dungeon Master sequel released in Japan. 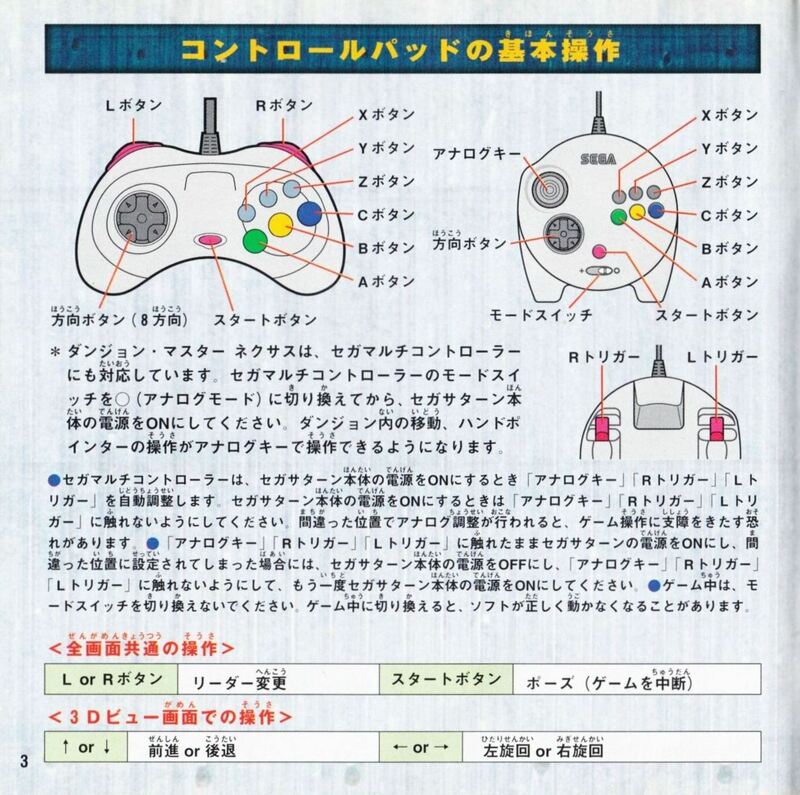 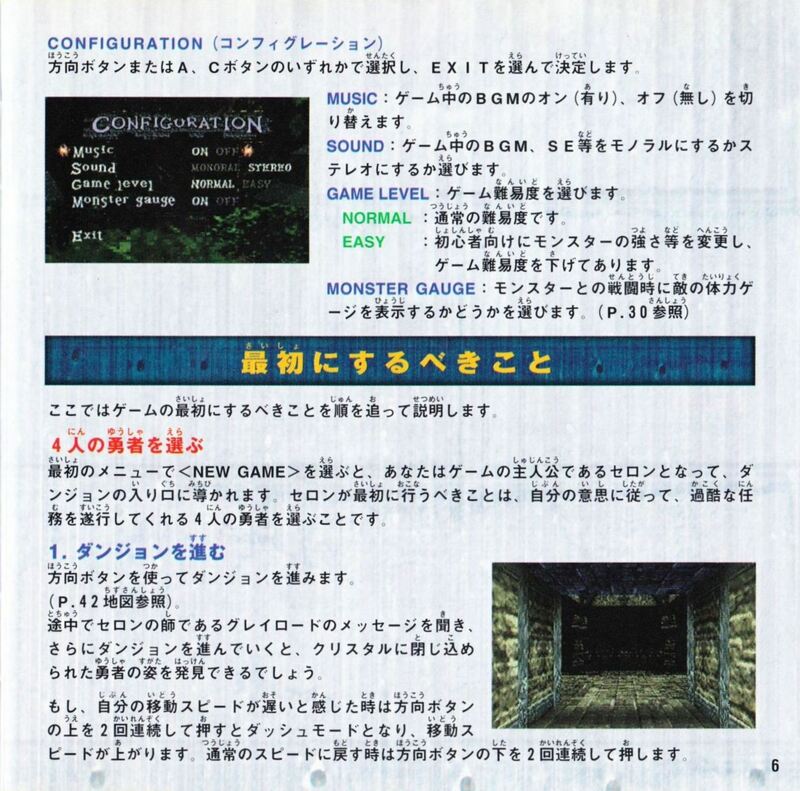 It was released only for the Sega Saturn console and only in Japanese language. 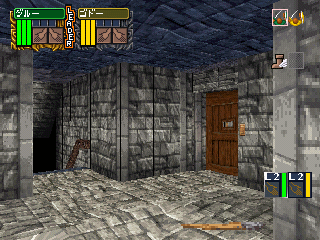 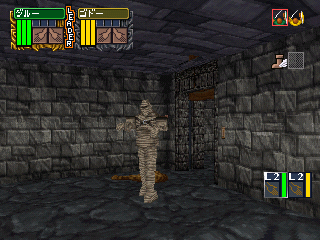 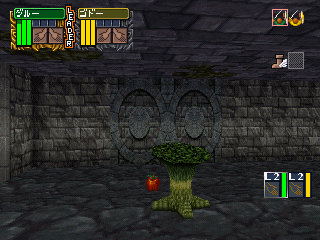 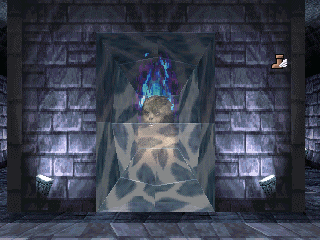 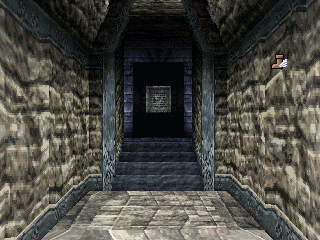 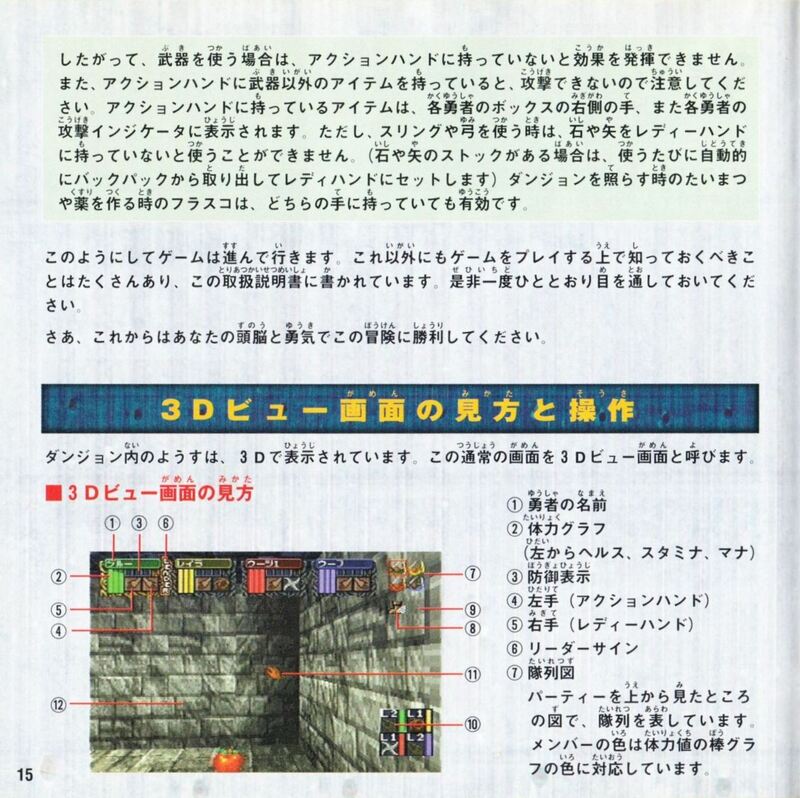 The game uses a true 3D graphics engine and is made of 15 levels. 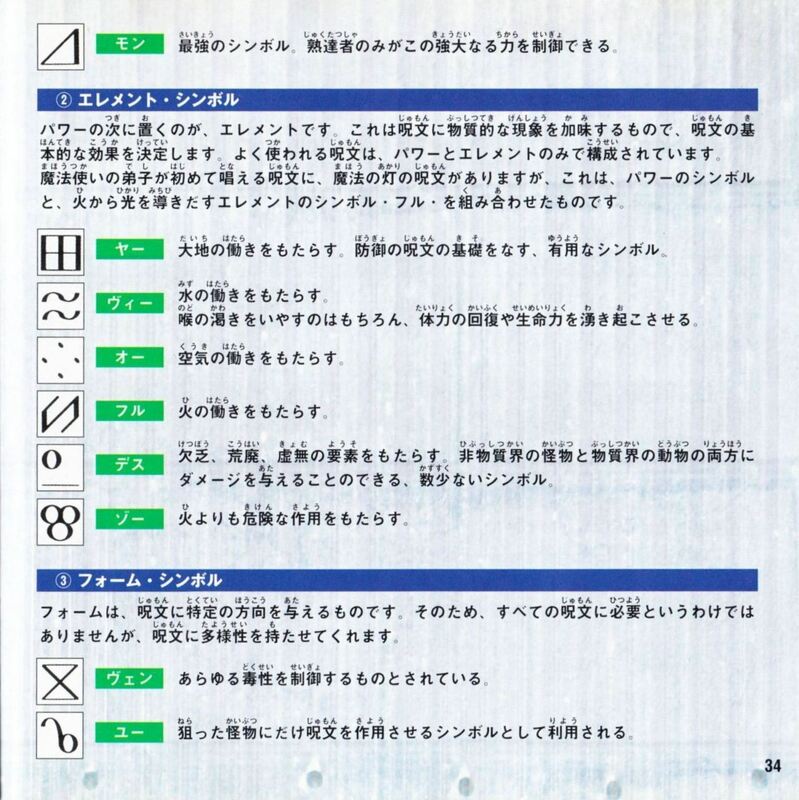 The reference pages you will find on this site are in japanese language, and were taken from Masaaki Shibata's web site. 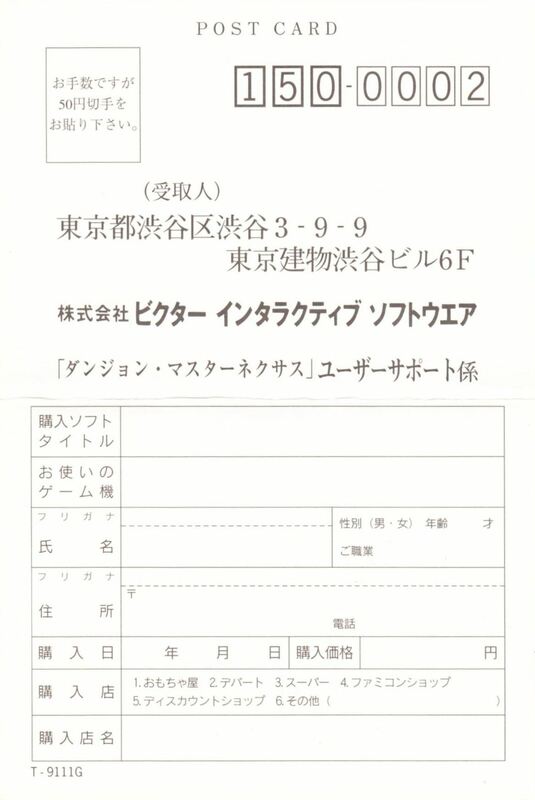 His email address and his site do not exist anymore. 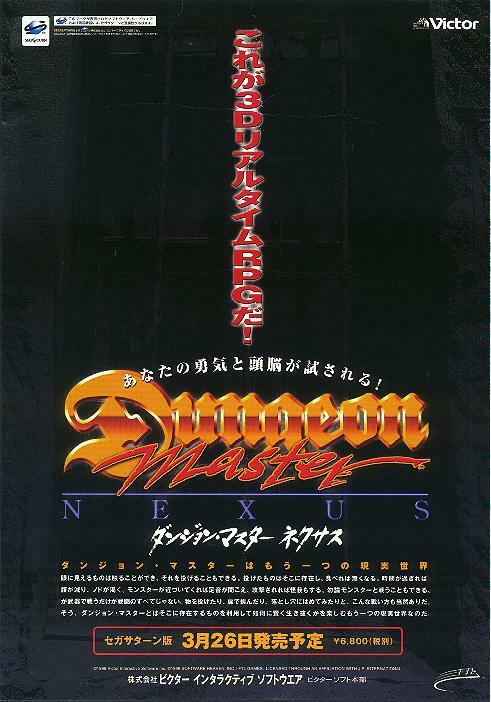 Because it had unique content about Dungeon Master Nexus (as far as I know), I decided to put that content back online here. 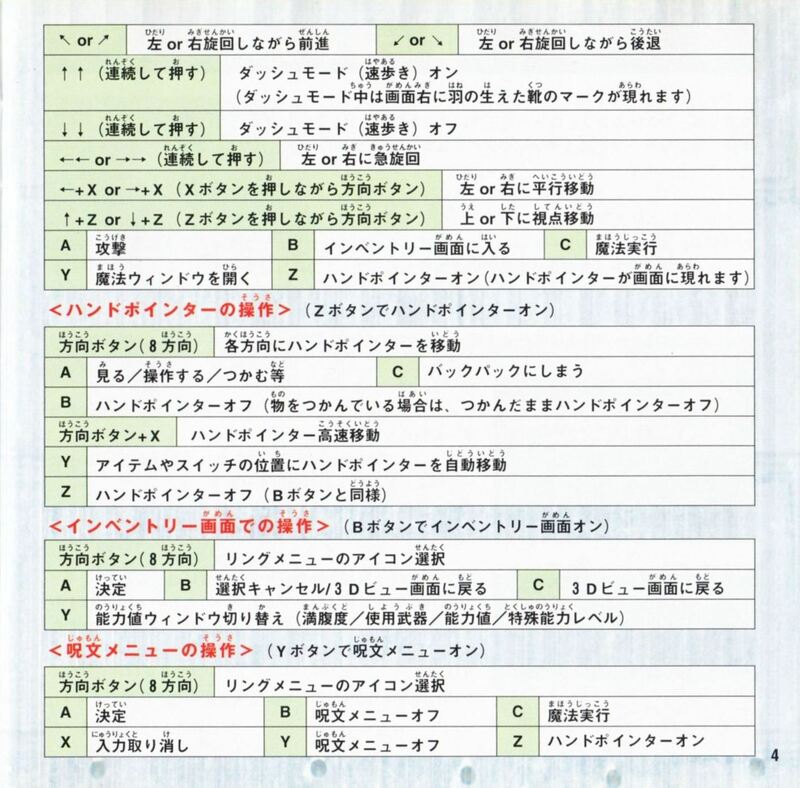 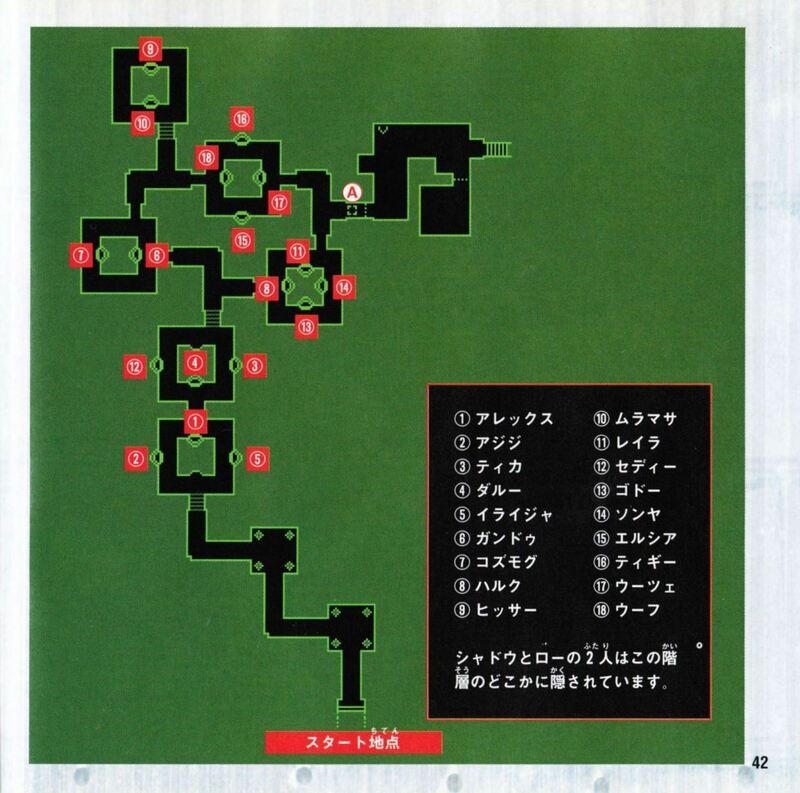 Note that there are maps for levels 2 to 12 only. 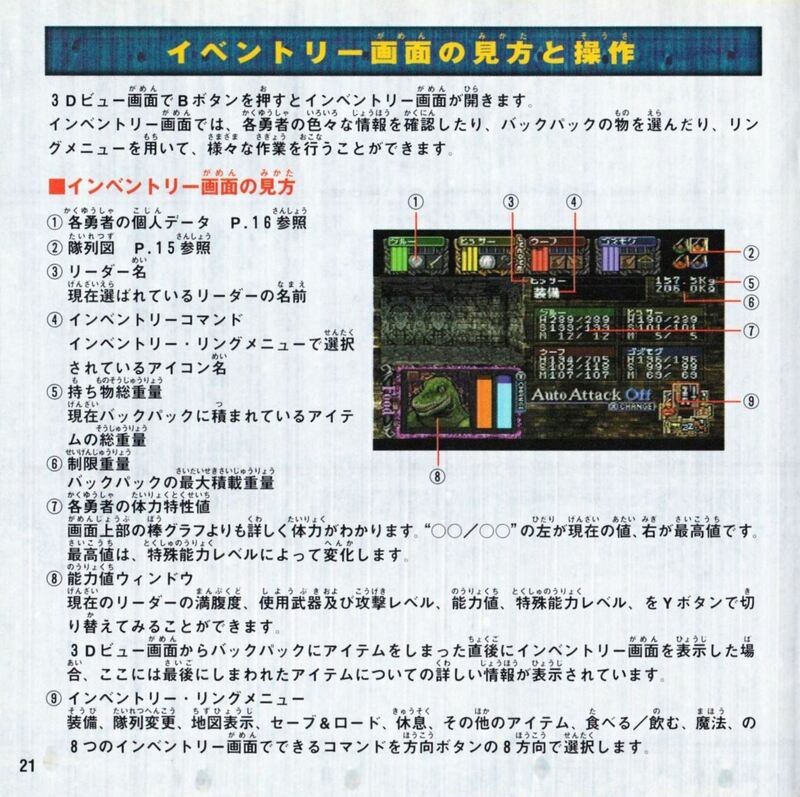 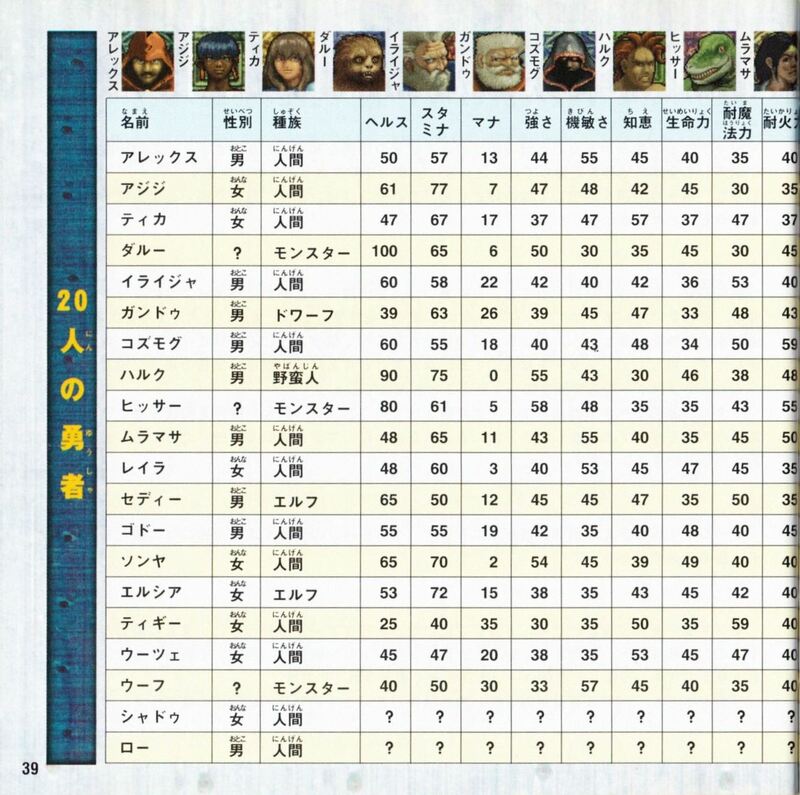 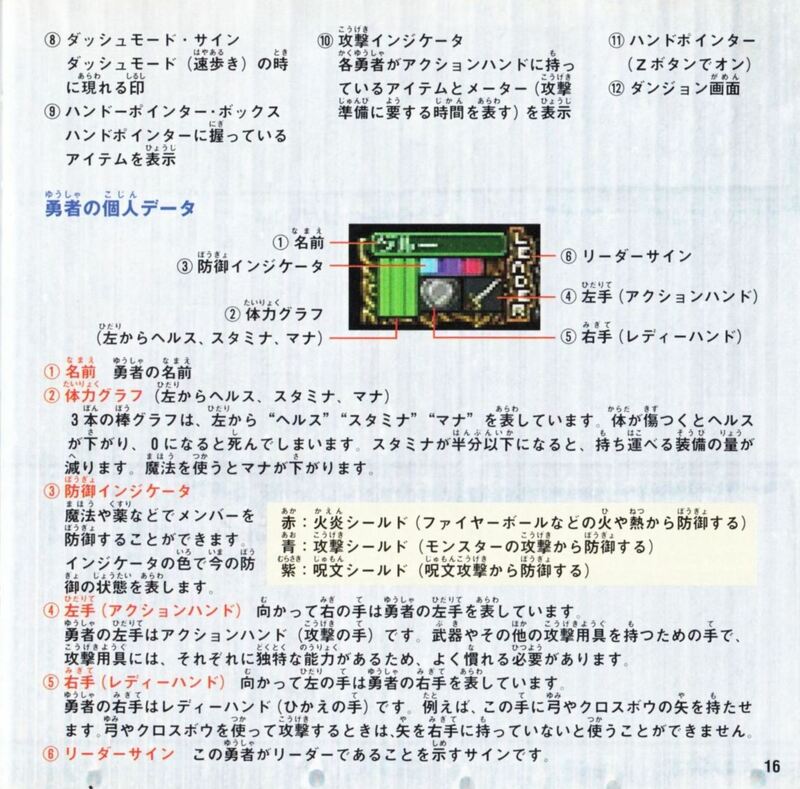 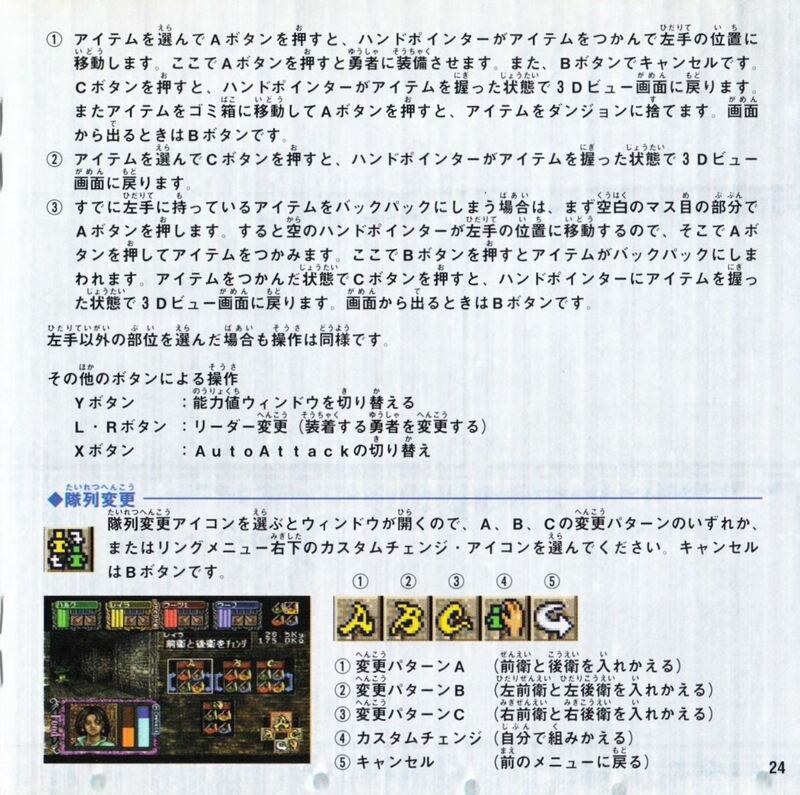 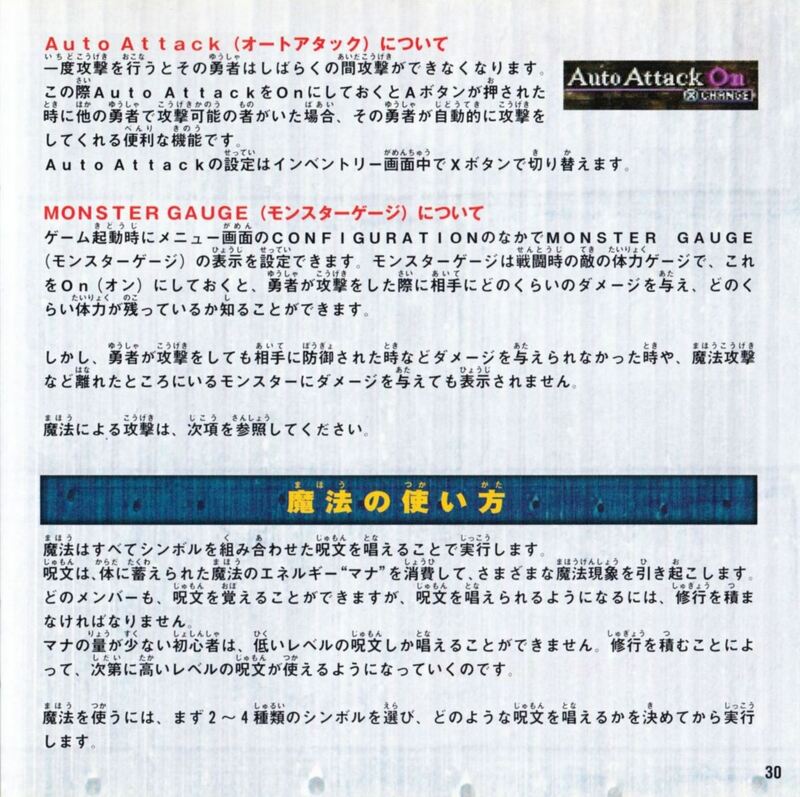 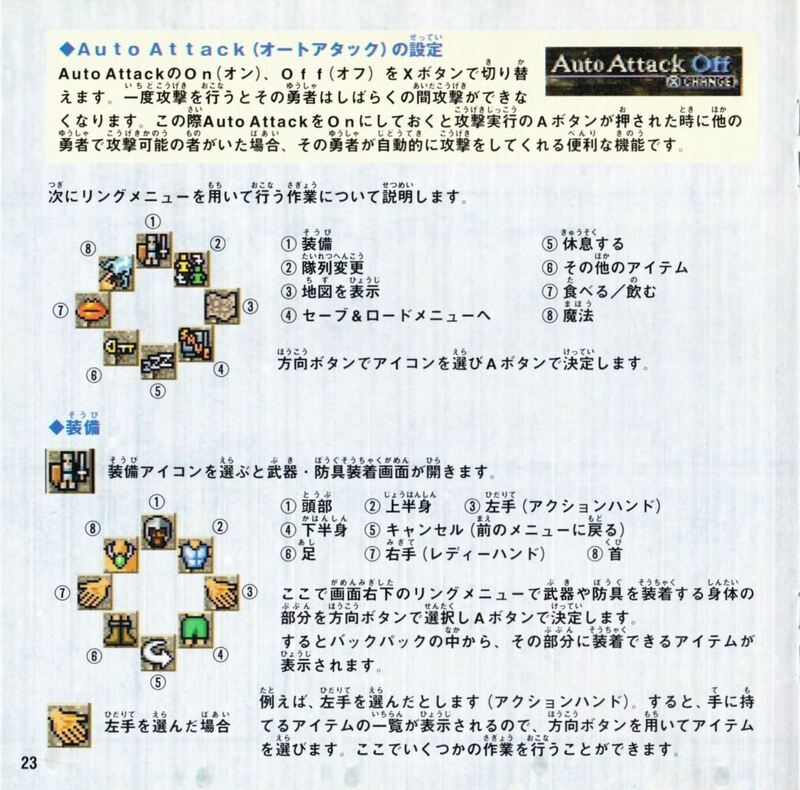 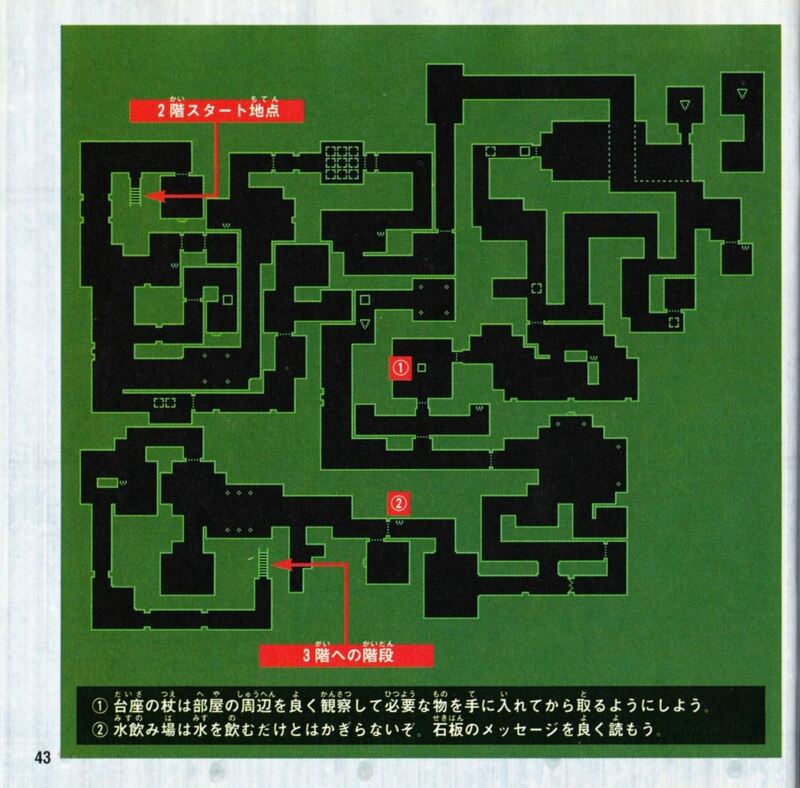 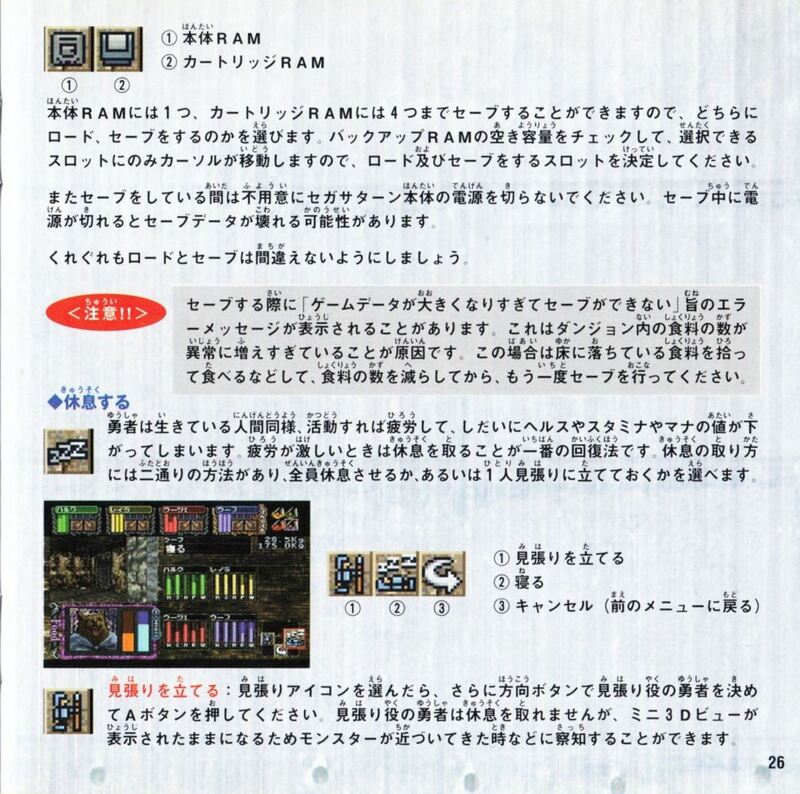 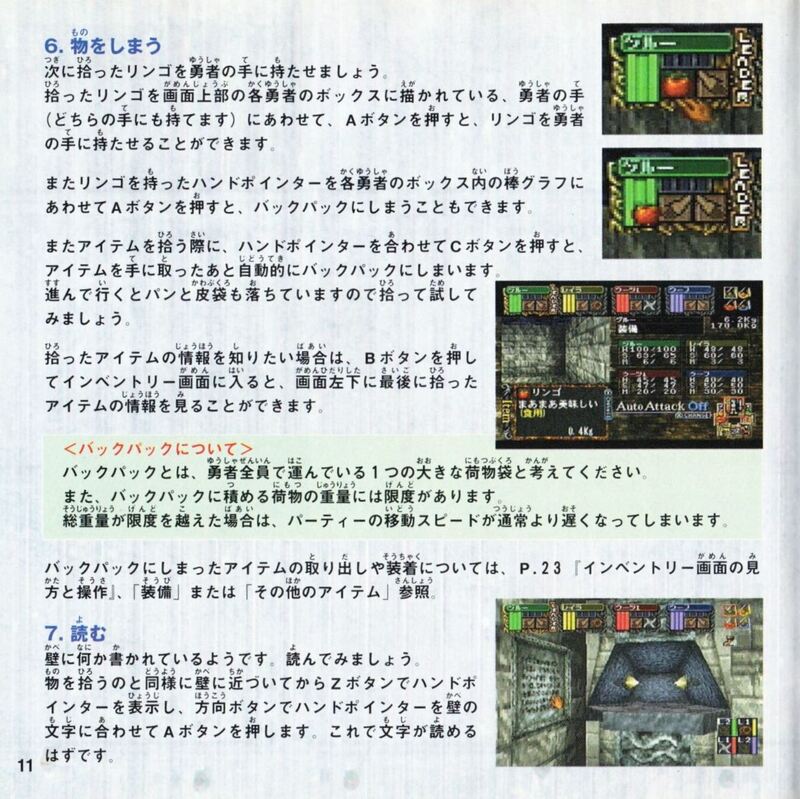 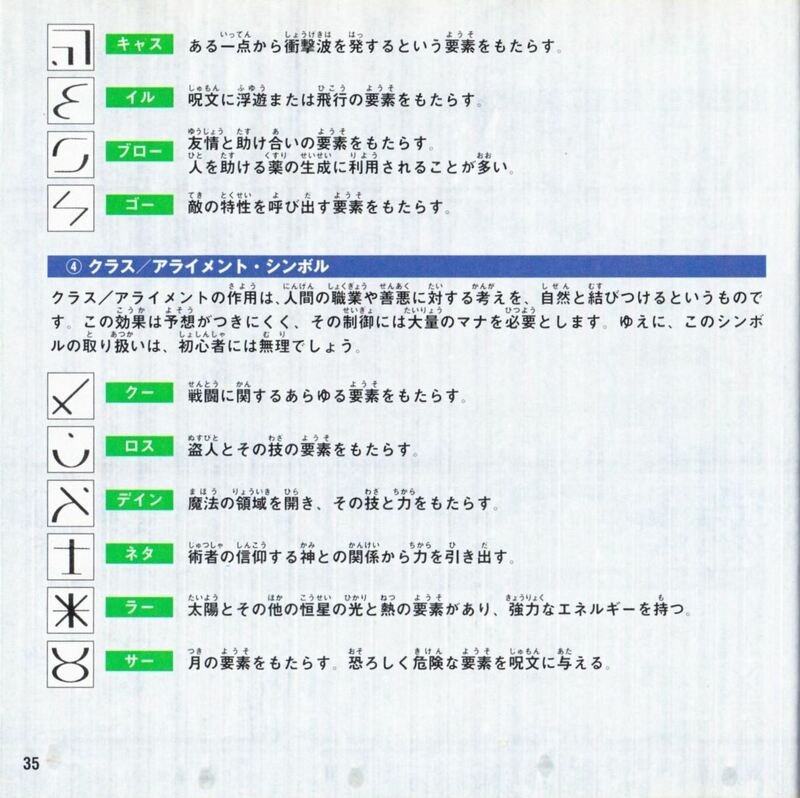 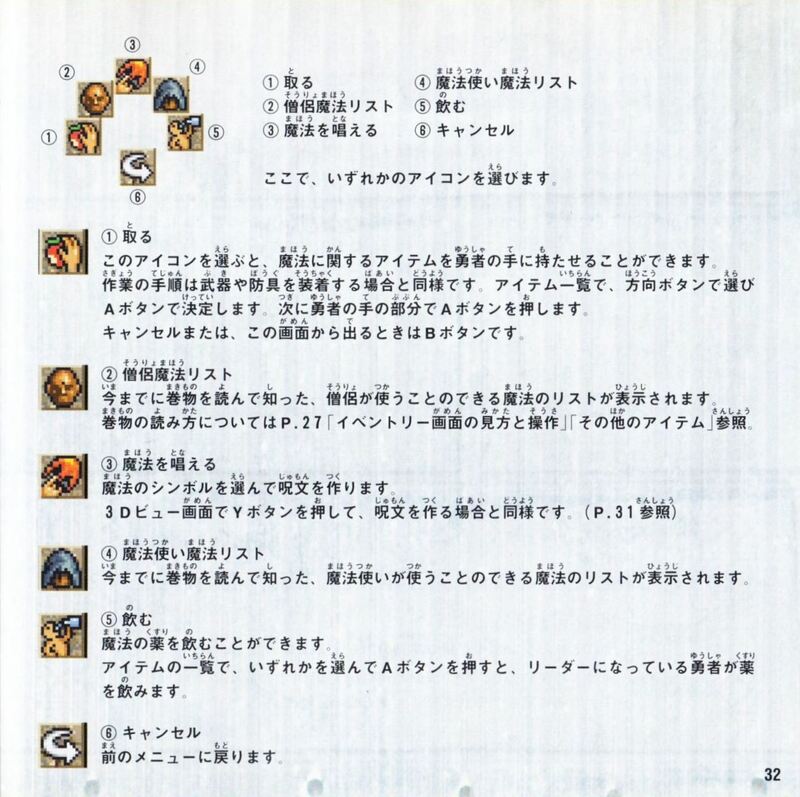 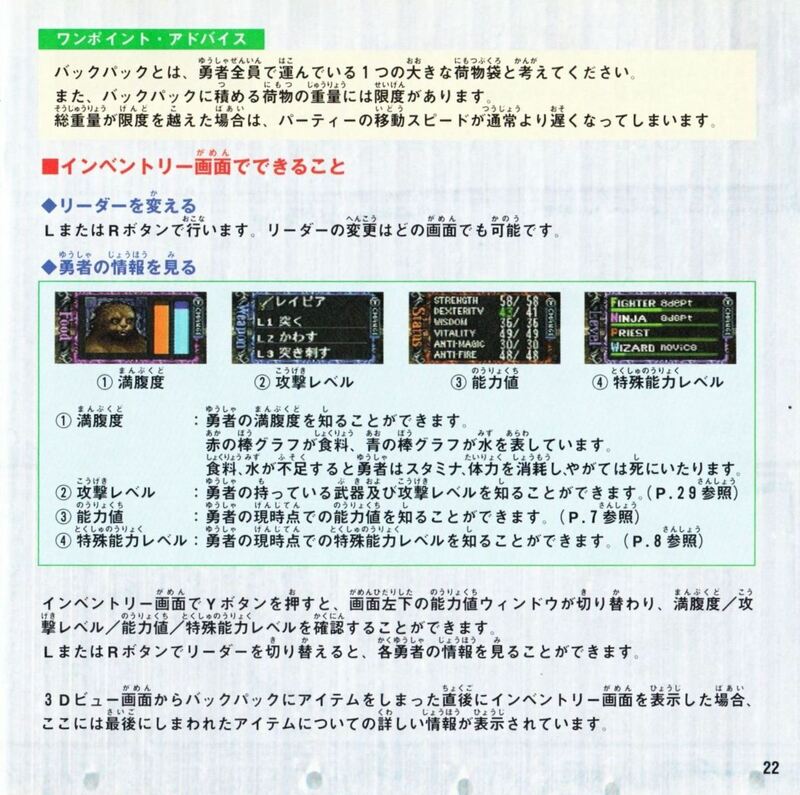 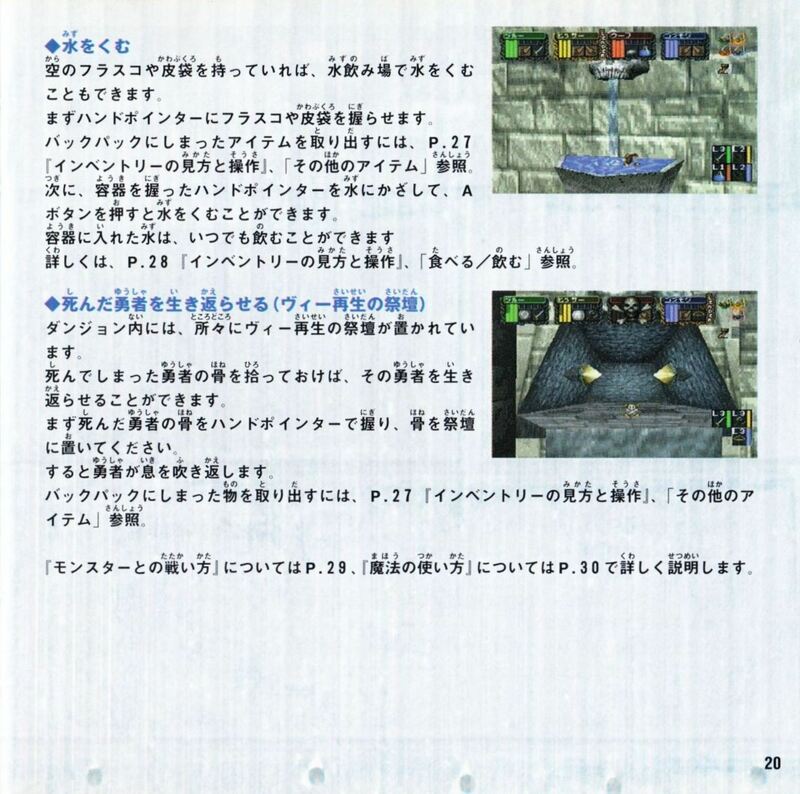 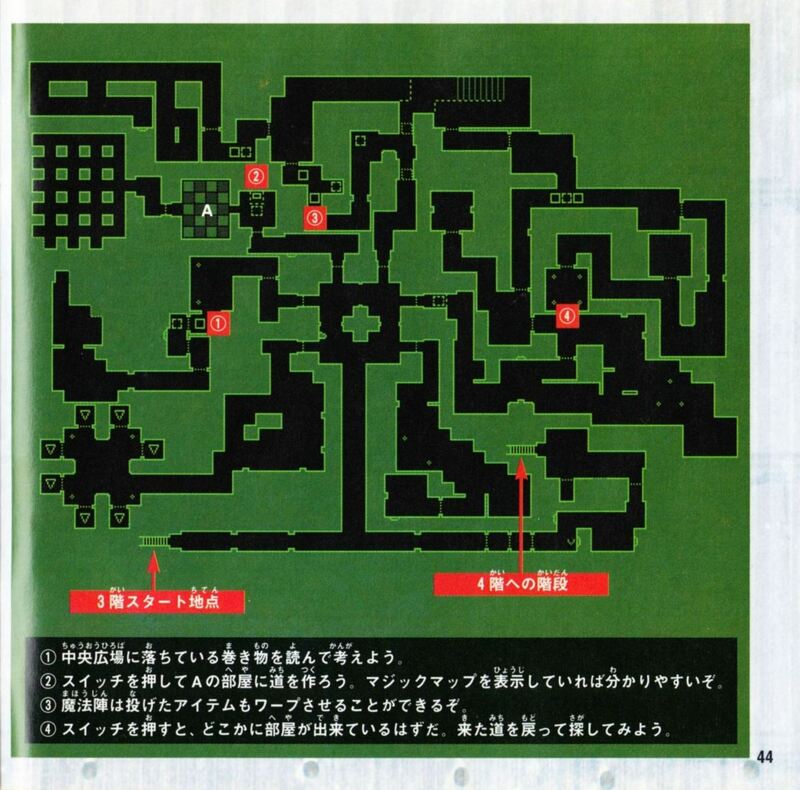 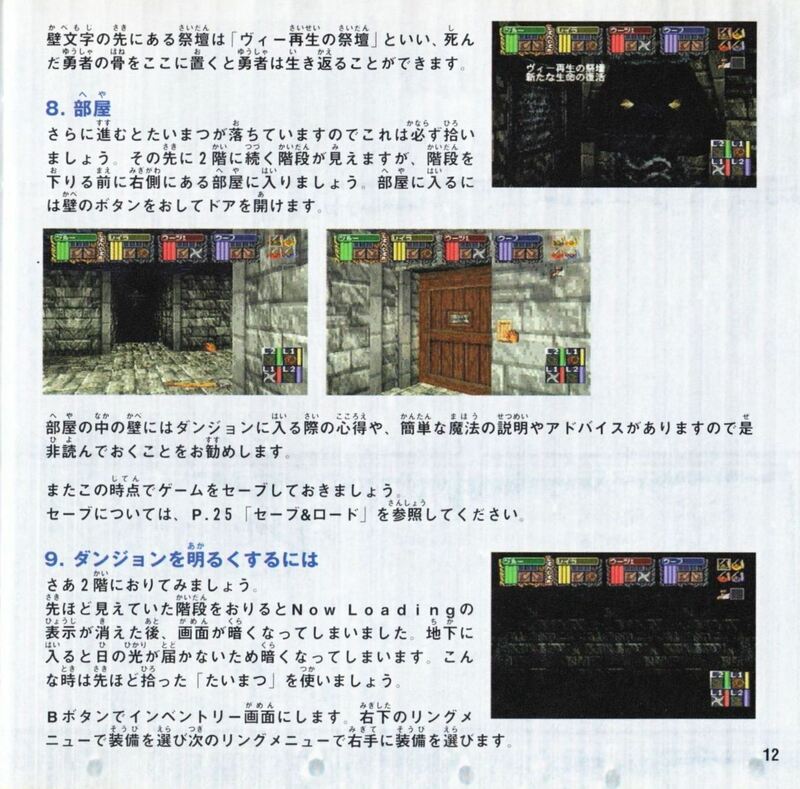 A map of level 1 is available on page 42 in the manual. 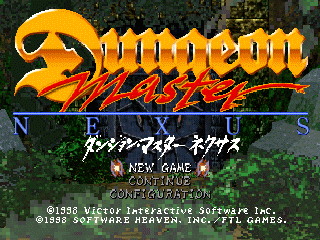 For more screenshots, you can visit Dungeon Master Nexus screenshots by Gambit, page 1 and Dungeon Master Nexus screenshots by Gambit, page 2. 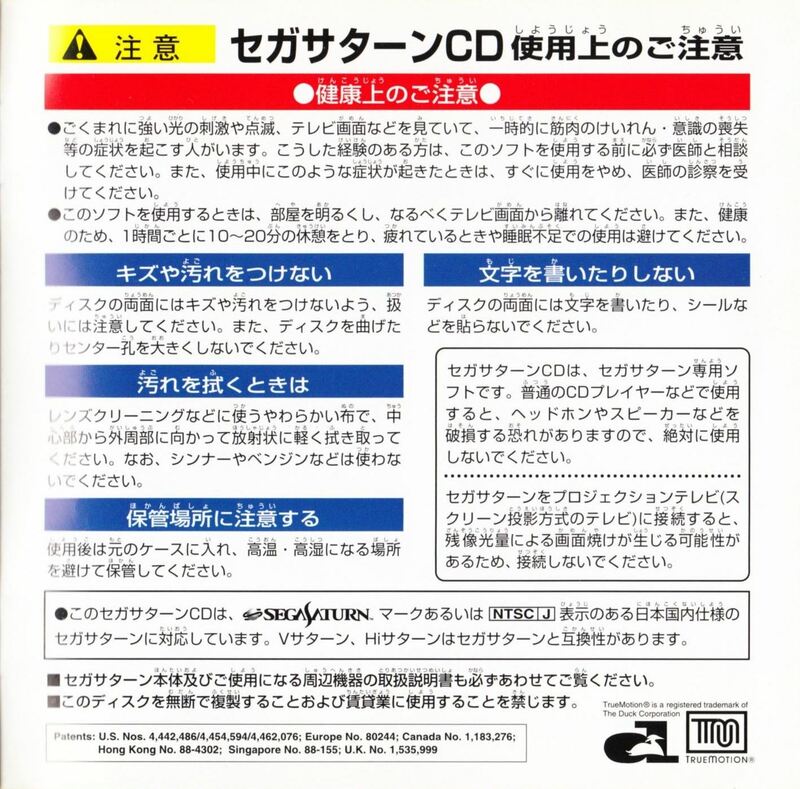 Package content: A standard CD jewel case, a booklet (manual), a back card (one side is blank), a spine card (one side is blank), a CD-ROM and a registration card. 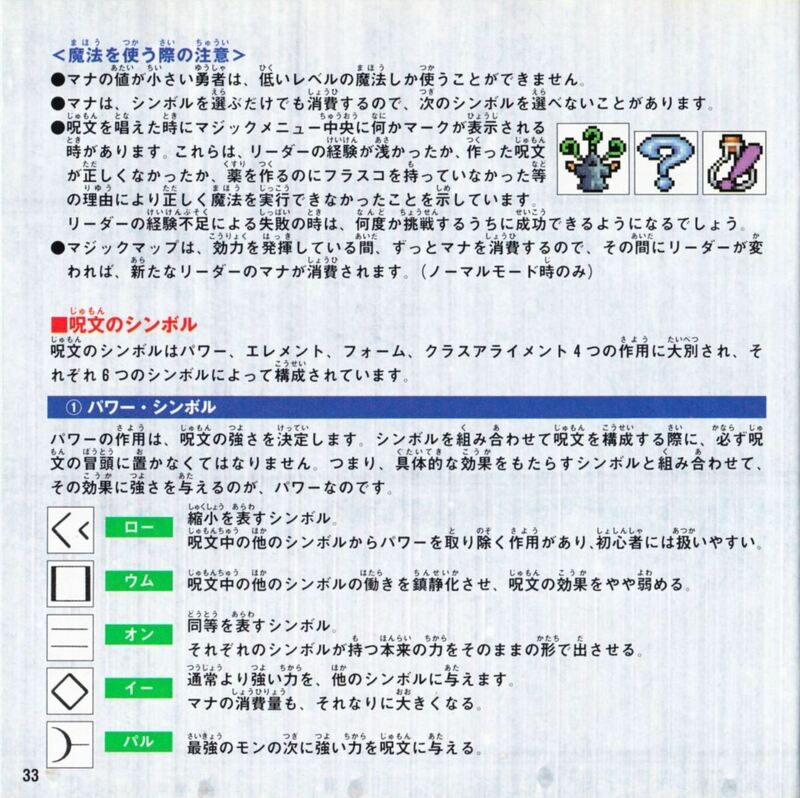 This book is Copyright © 1998 by Victor Interactive Software Inc. 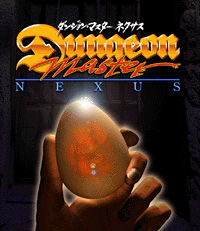 Missing: An complete english translation of the Dungeon Master Nexus manual. 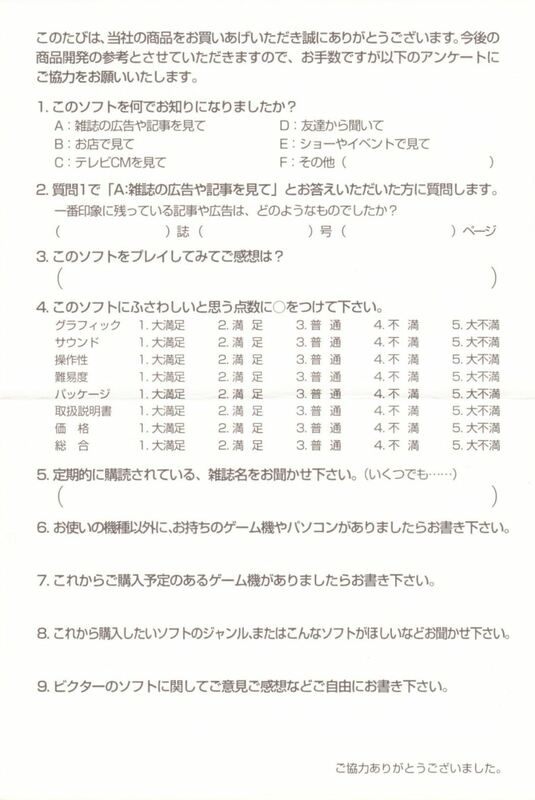 If you can help, please E-mail me! 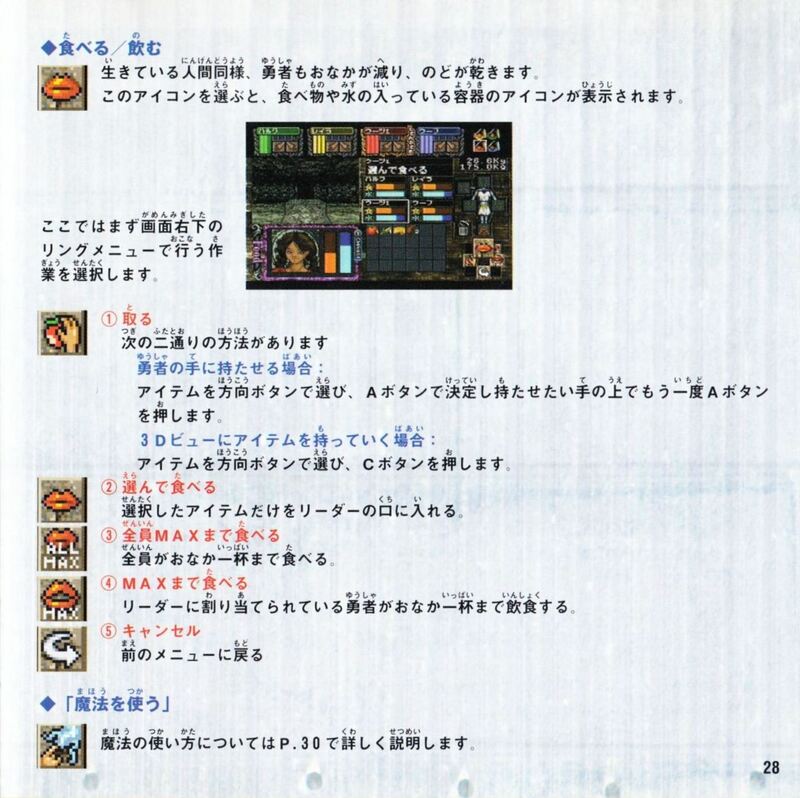 Check Contributions wanted for a list of other missing content. 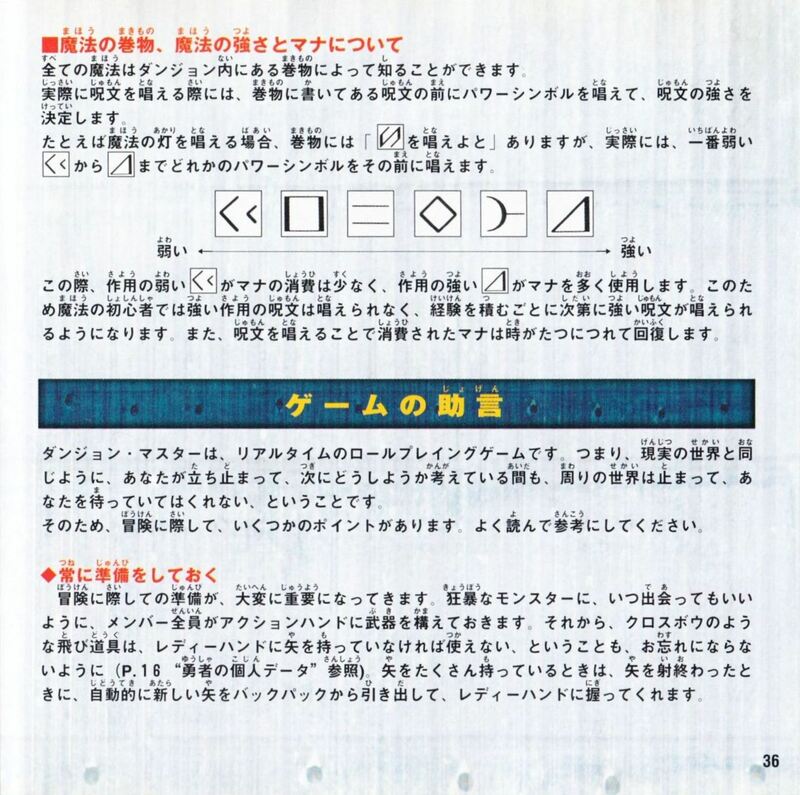 You need to create a free user account on this web site before being able to download the game. 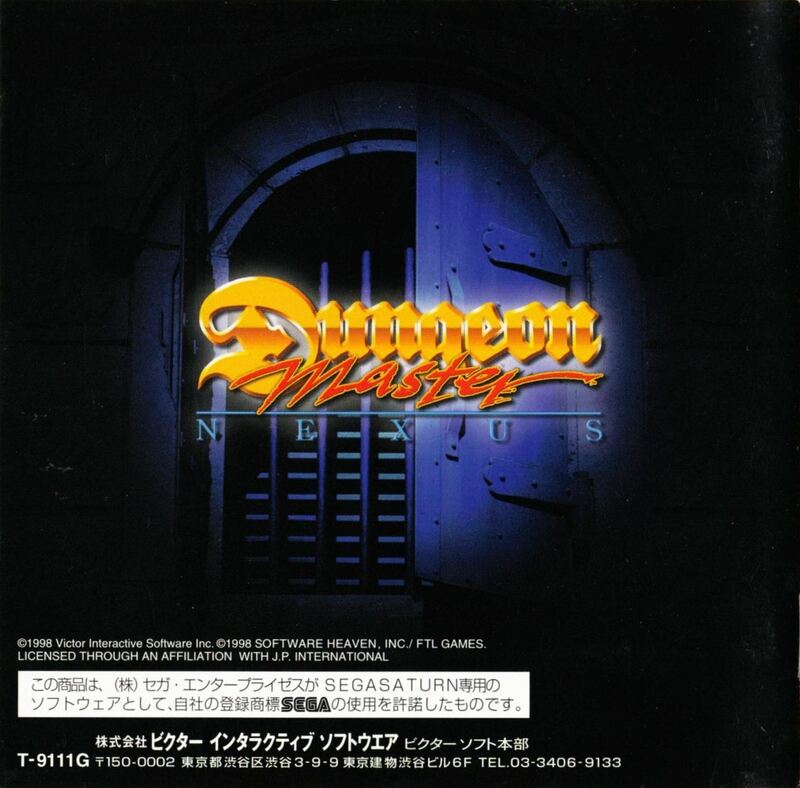 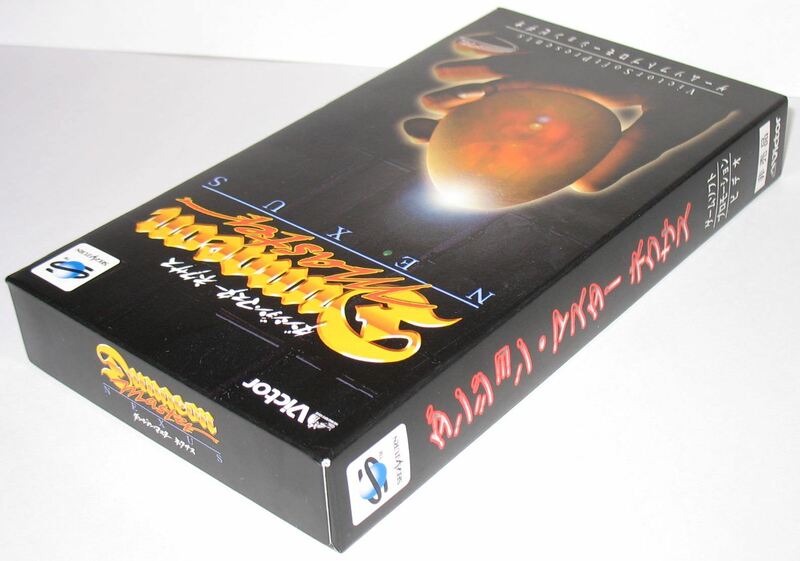 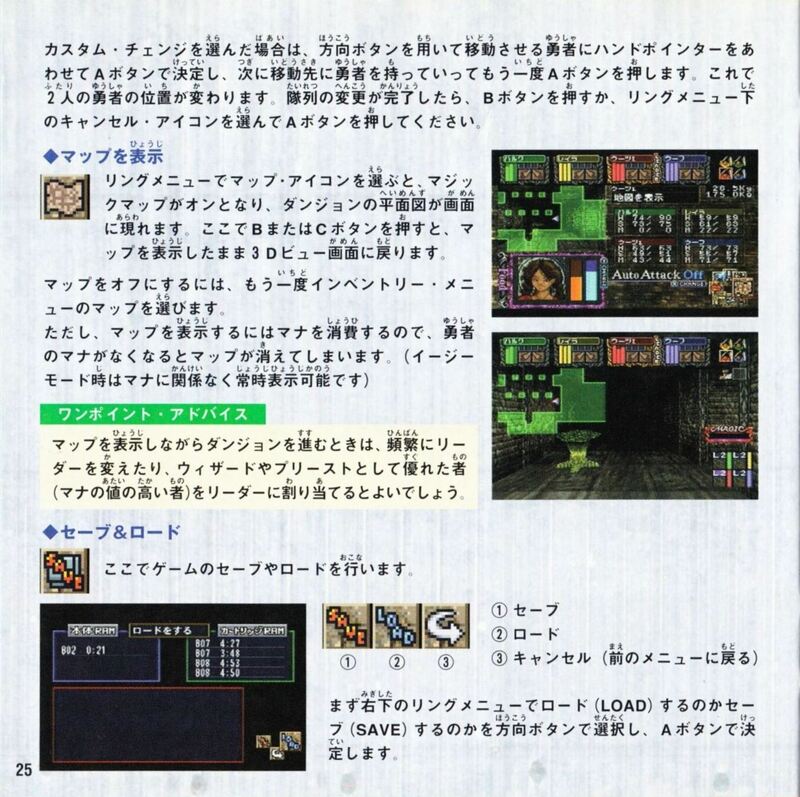 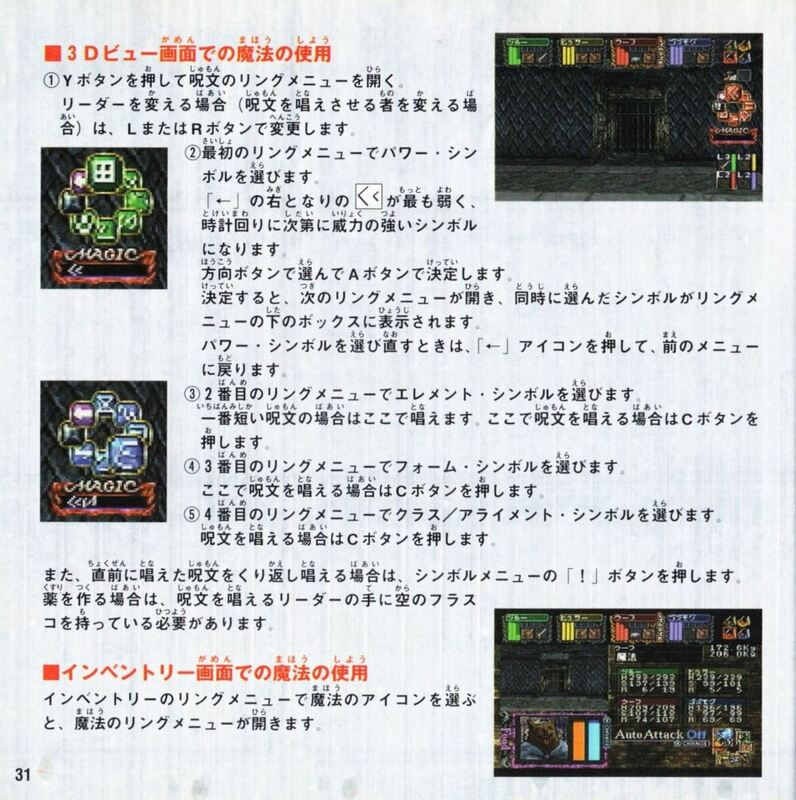 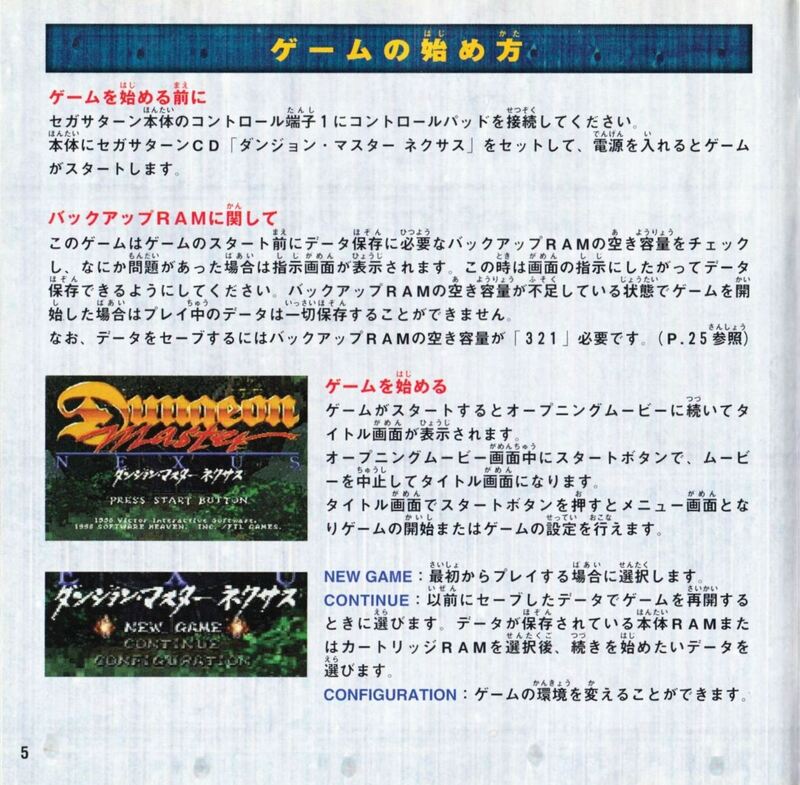 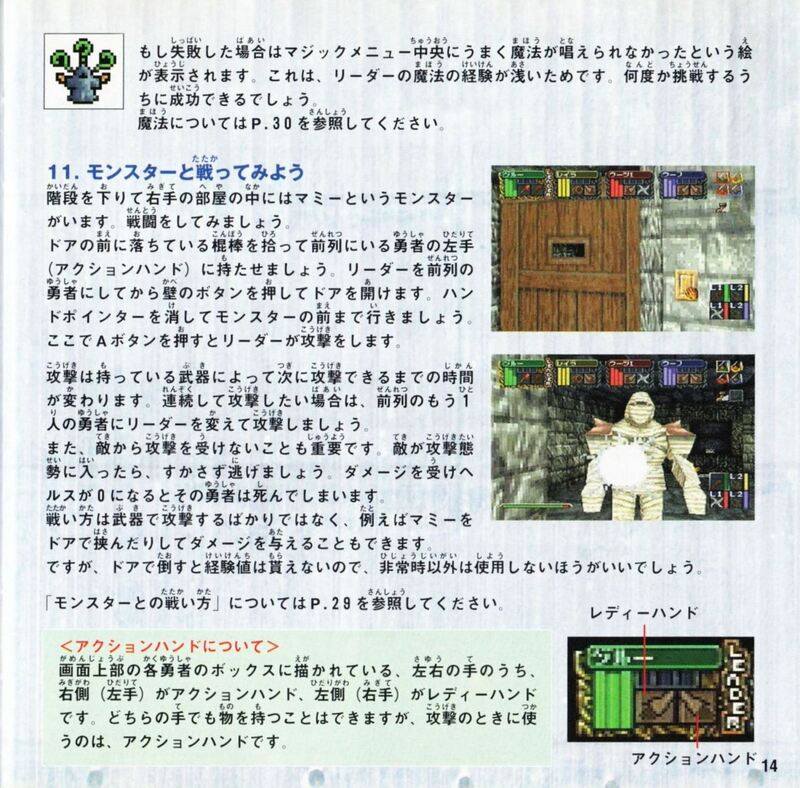 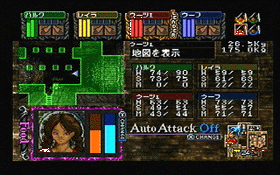 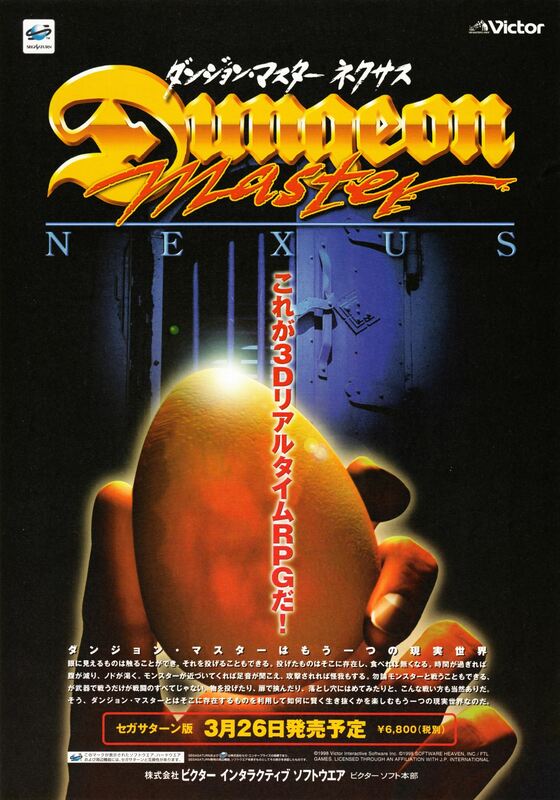 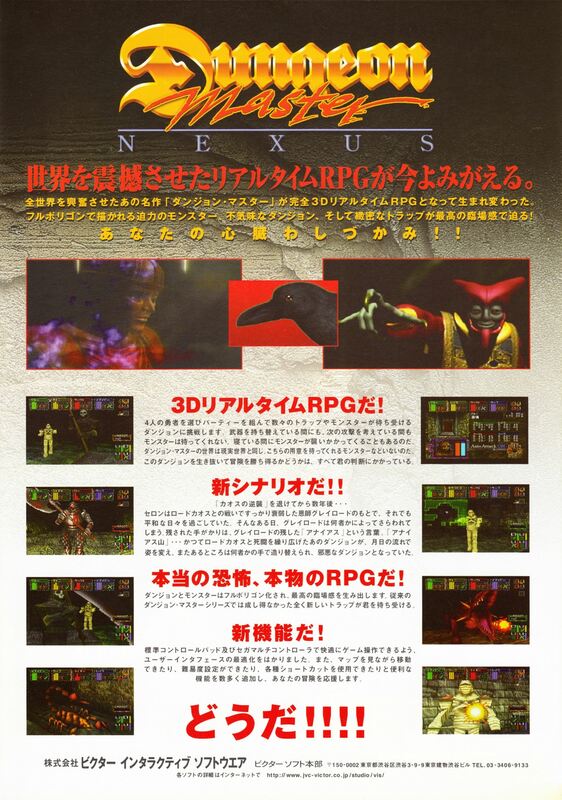 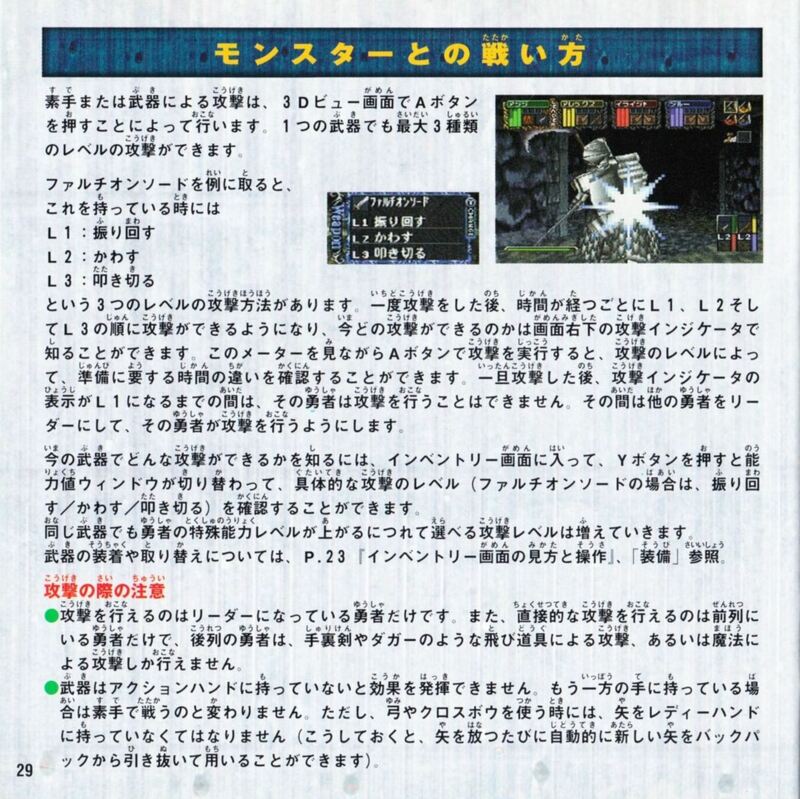 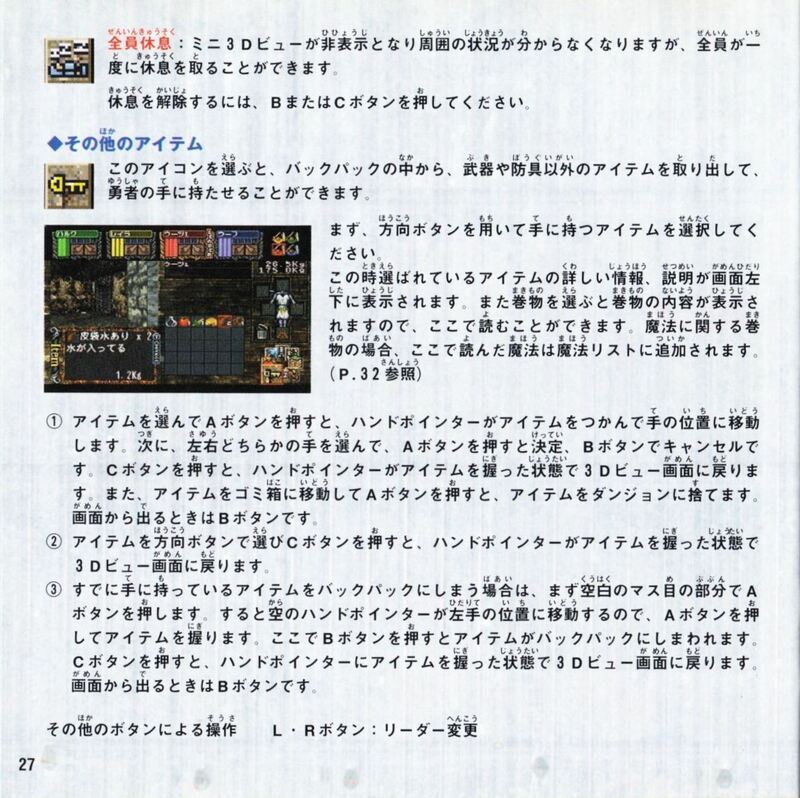 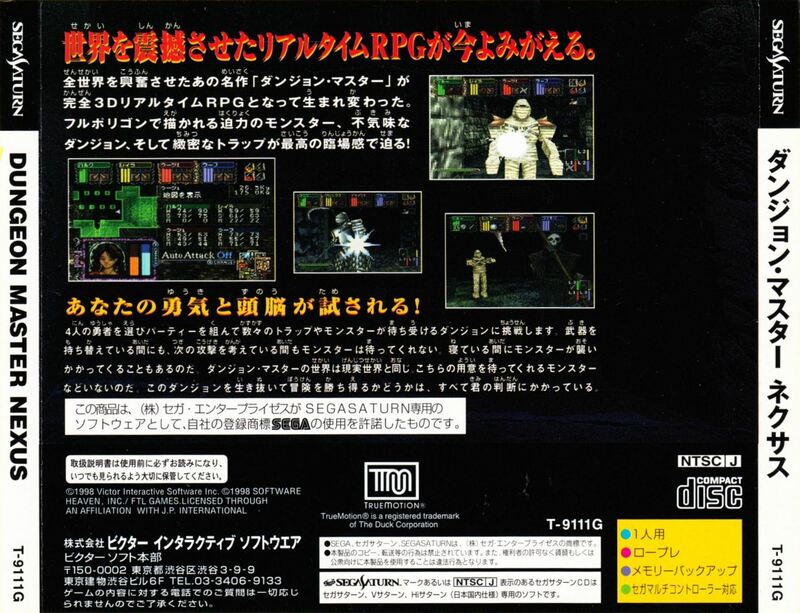 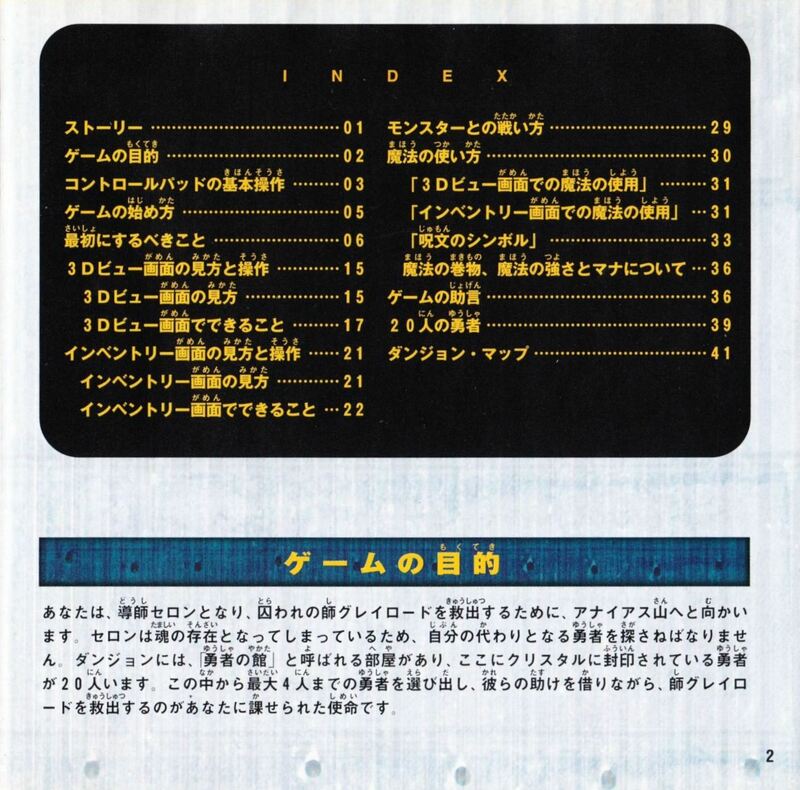 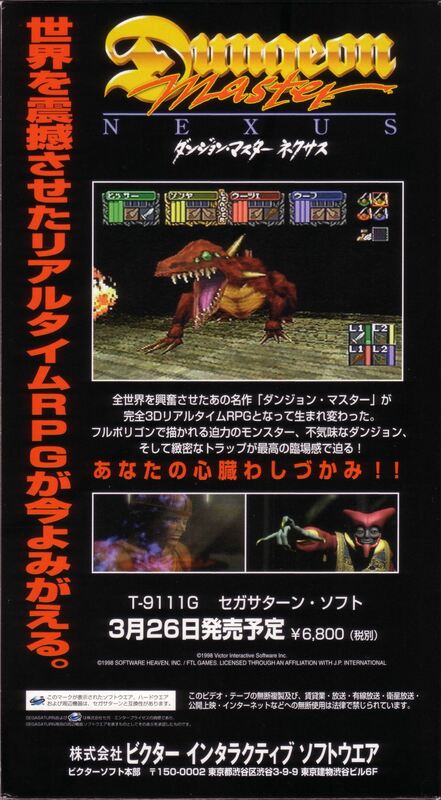 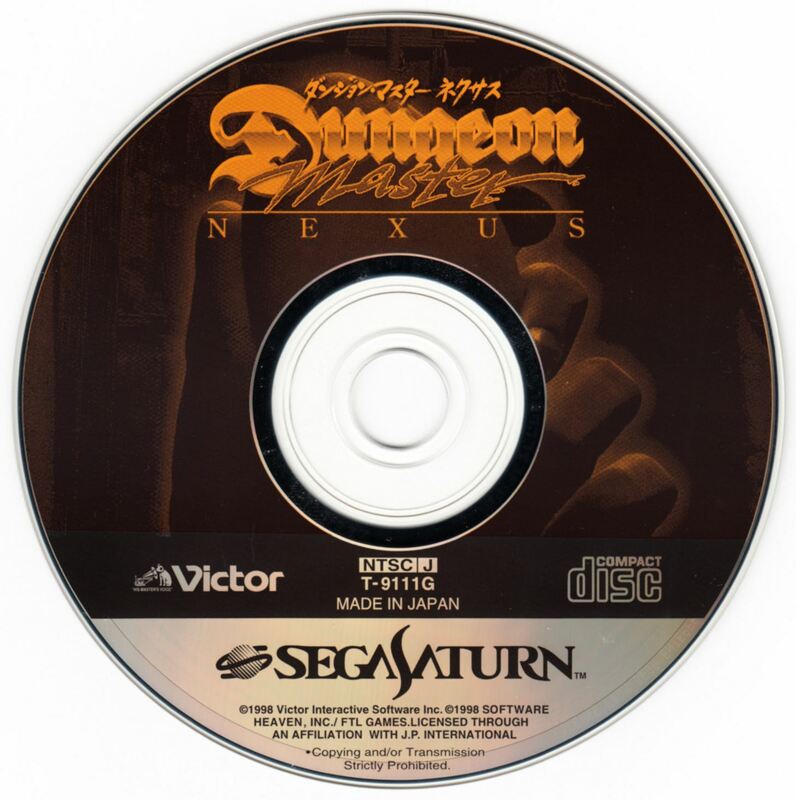 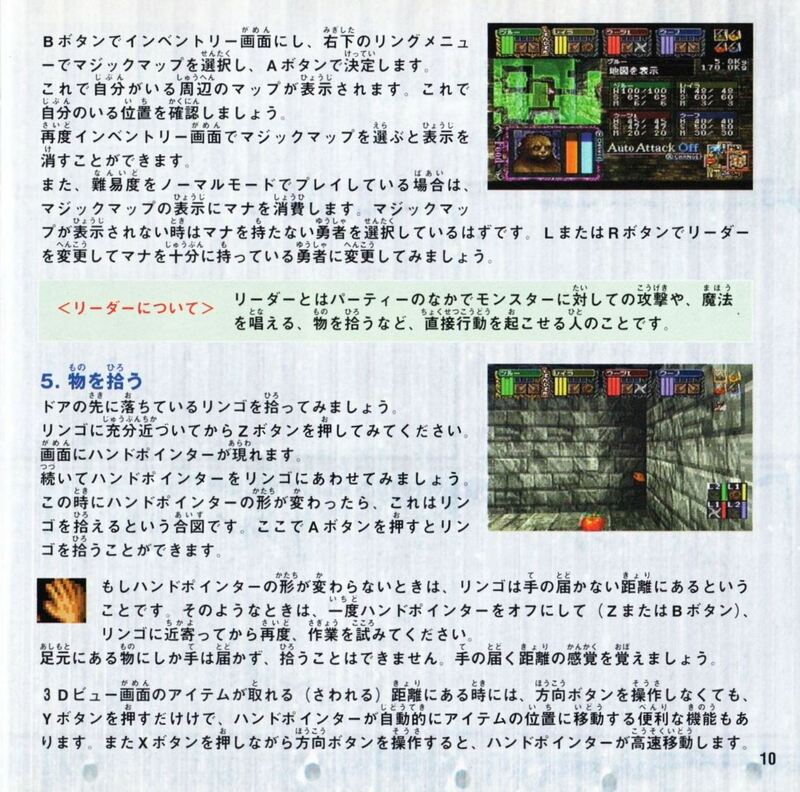 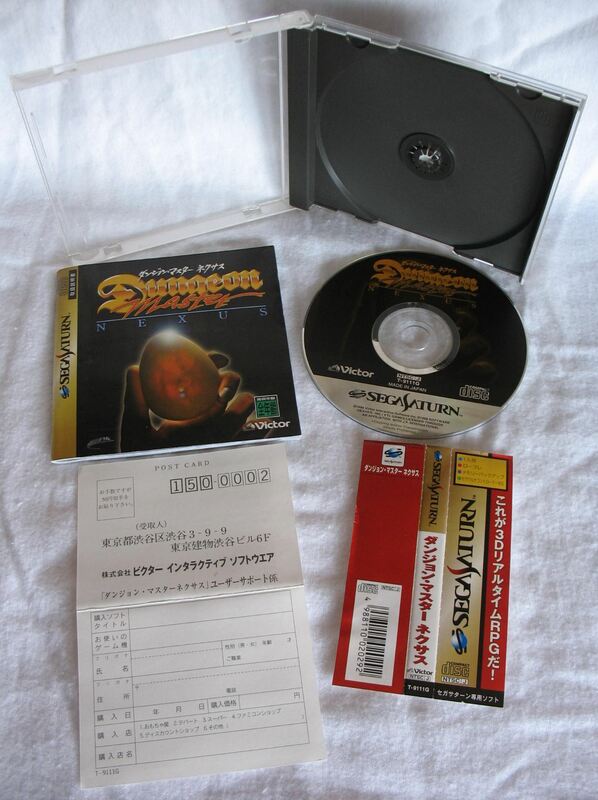 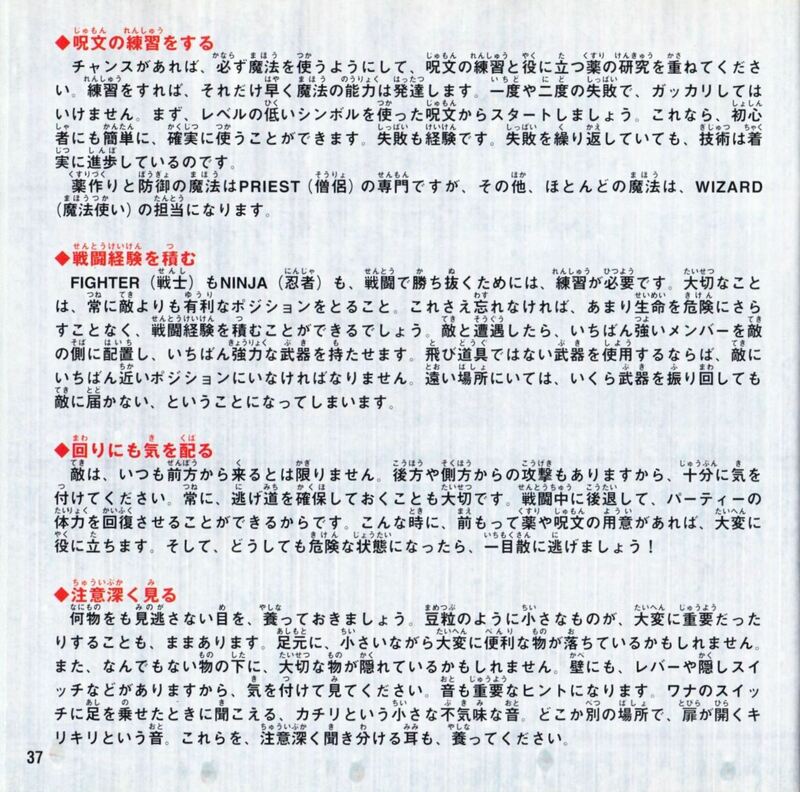 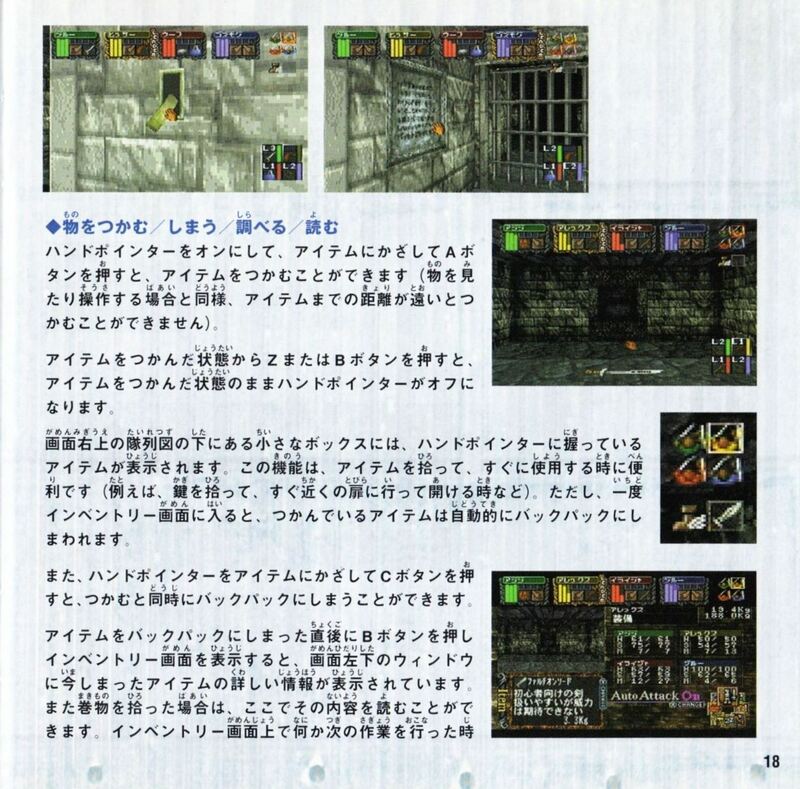 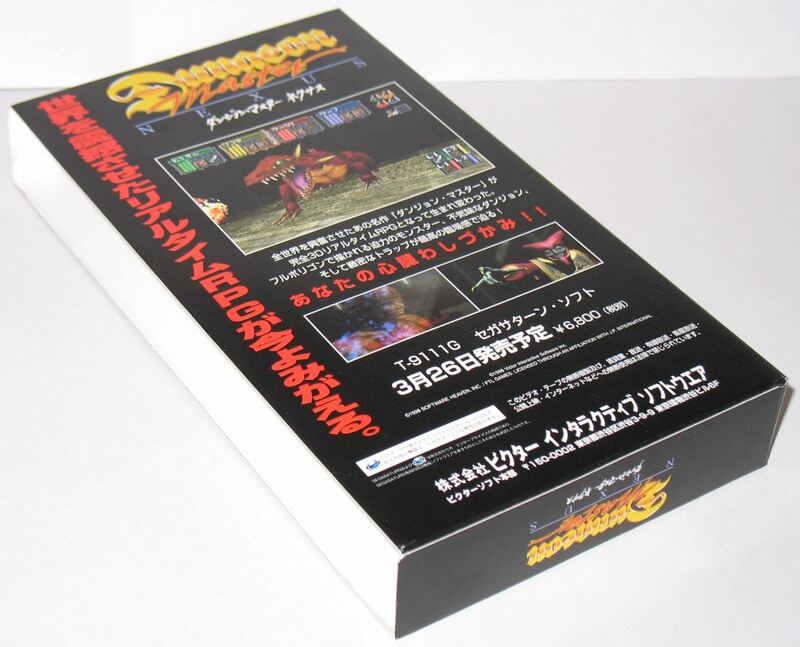 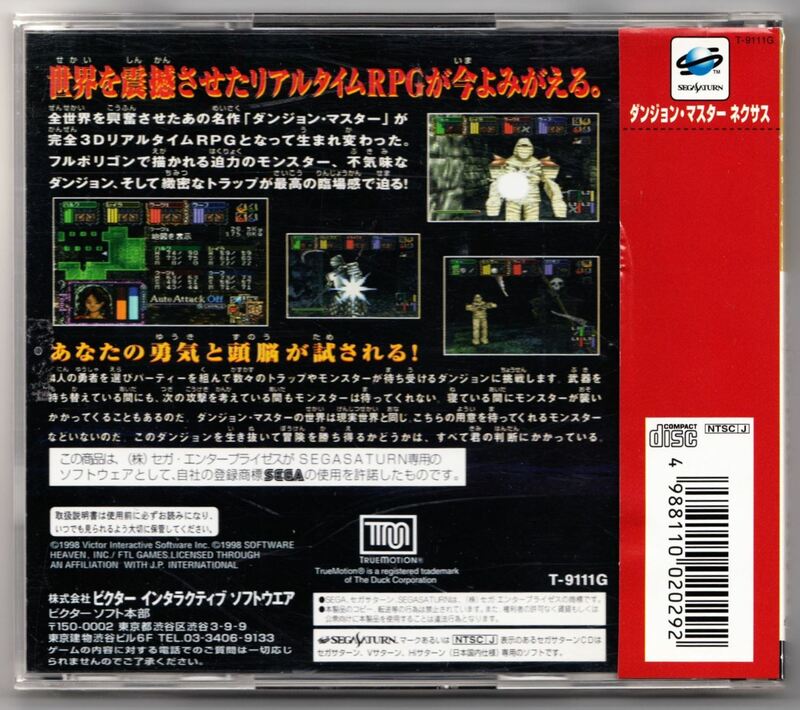 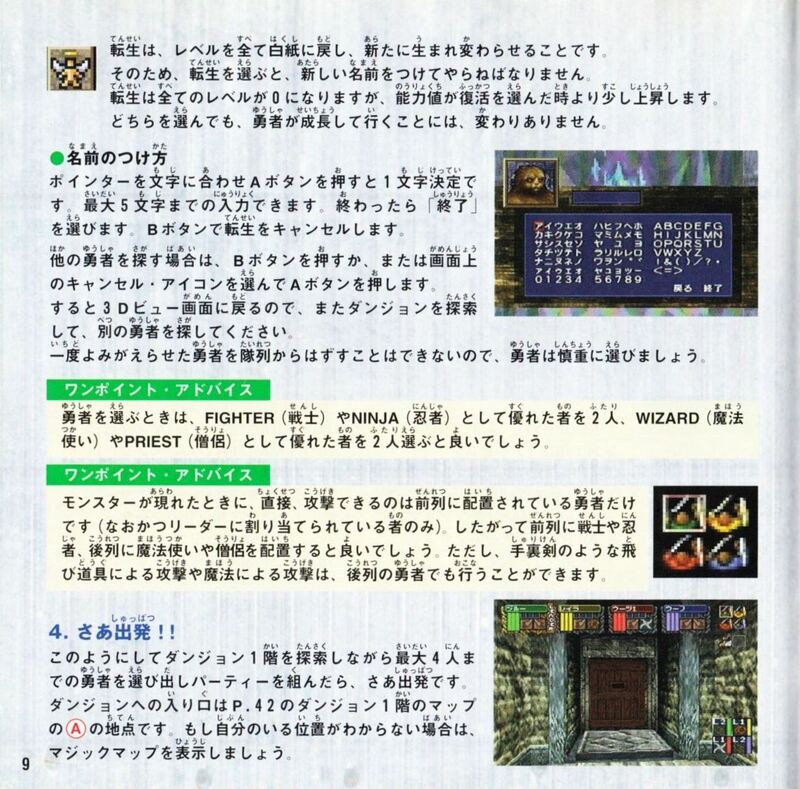 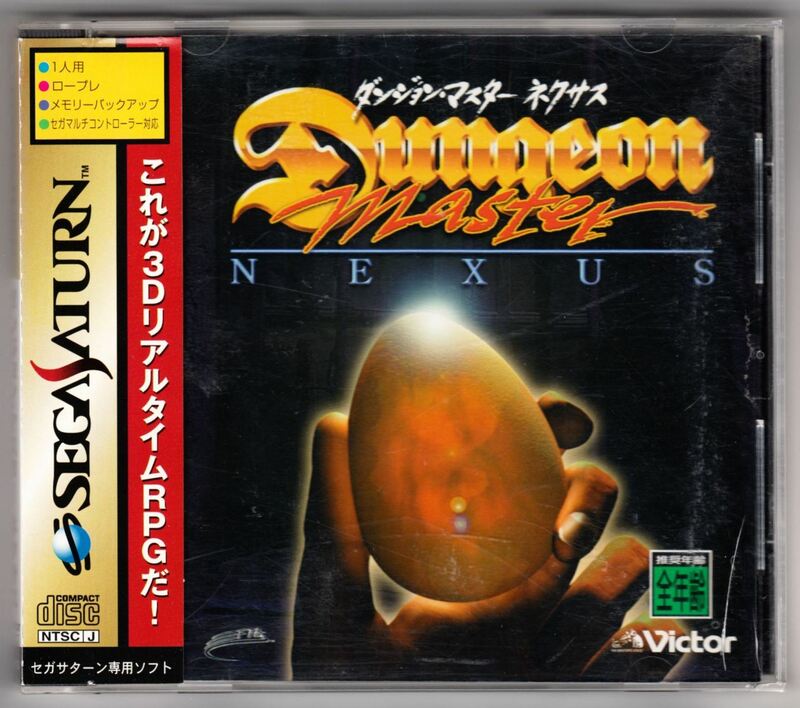 This archive contains Dungeon Master Nexus for Sega Saturn (Japanese). 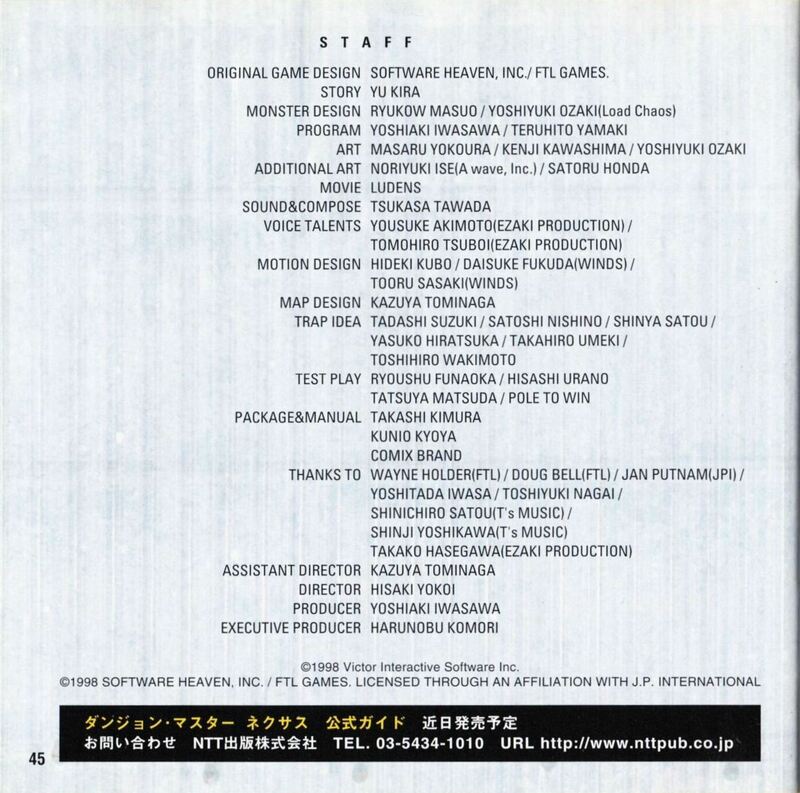 This version consists of an ISO/CUE CD image. 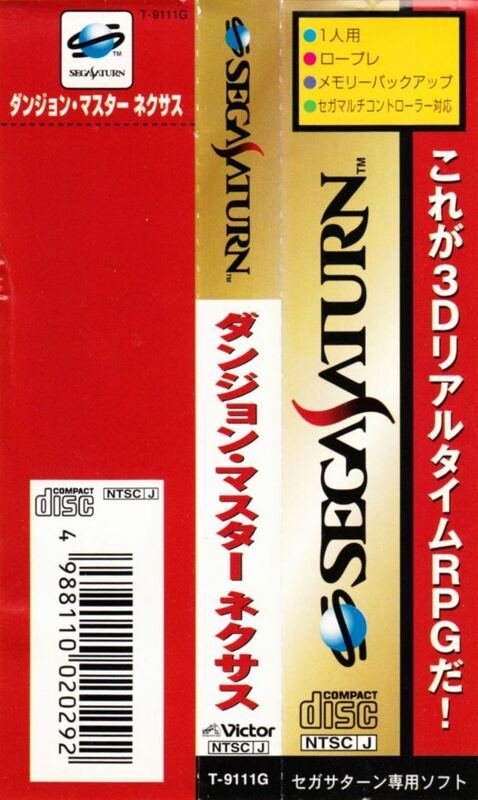 What is a Sega Saturn? 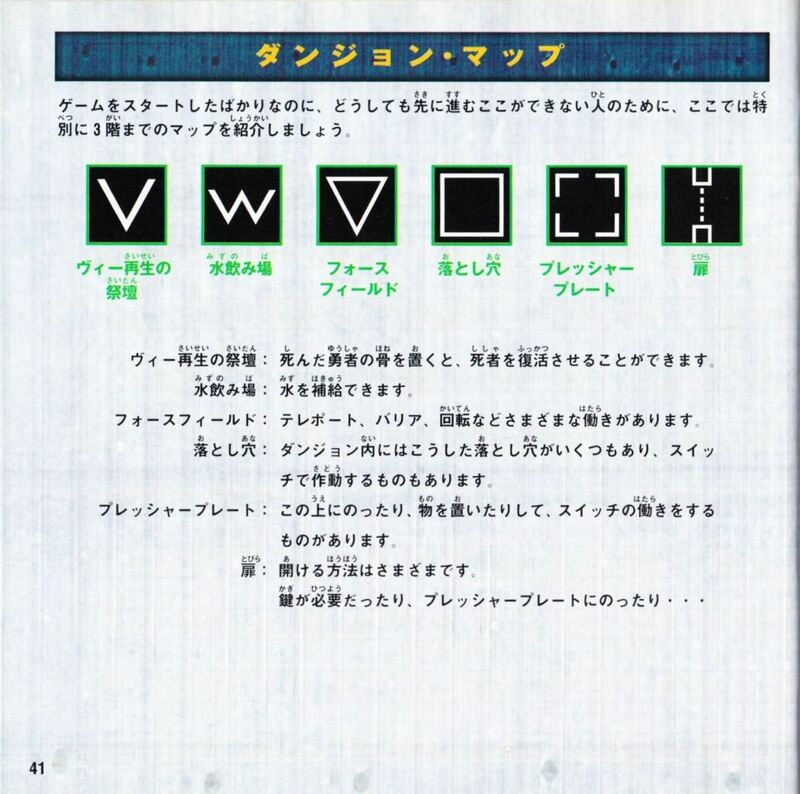 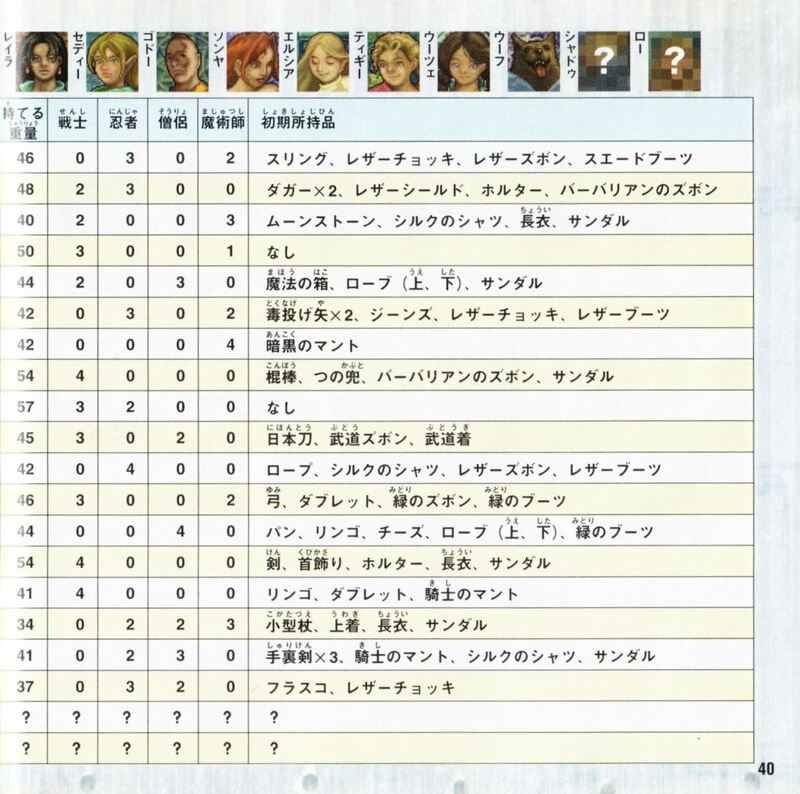 The following screenshots were taken from the official Victor Interactive web site (in Japanese), but the game's web pages have been removed. 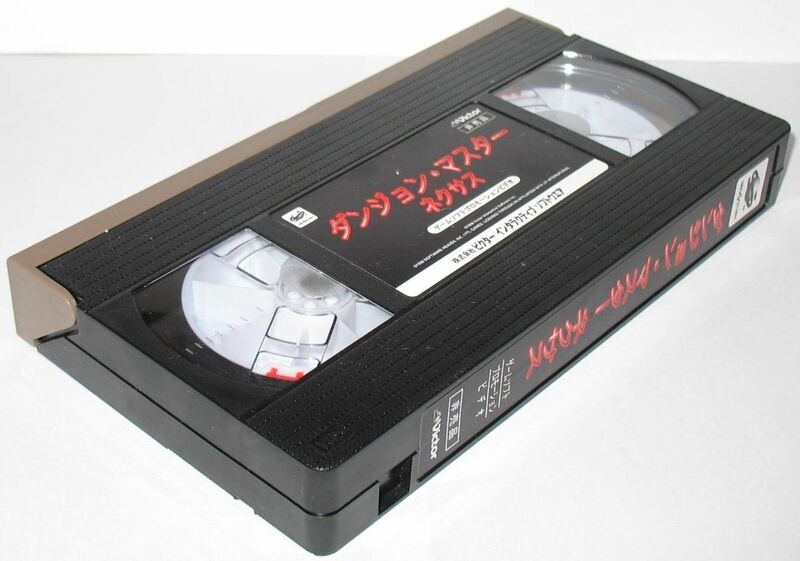 This is a 1 hour NTSC VHS tape containing the same 3 minutes clip repeated 20 times. 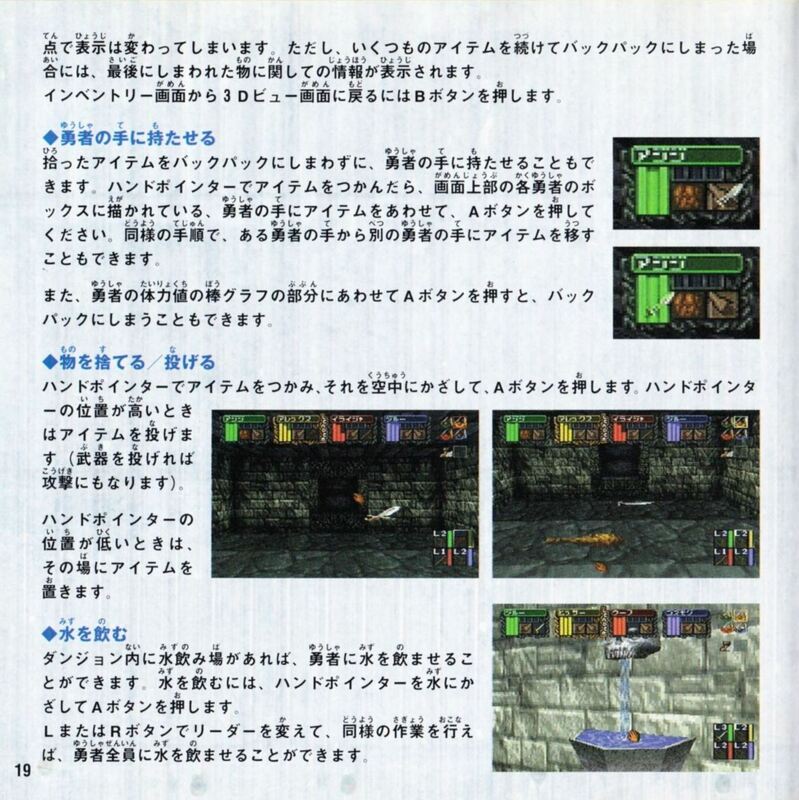 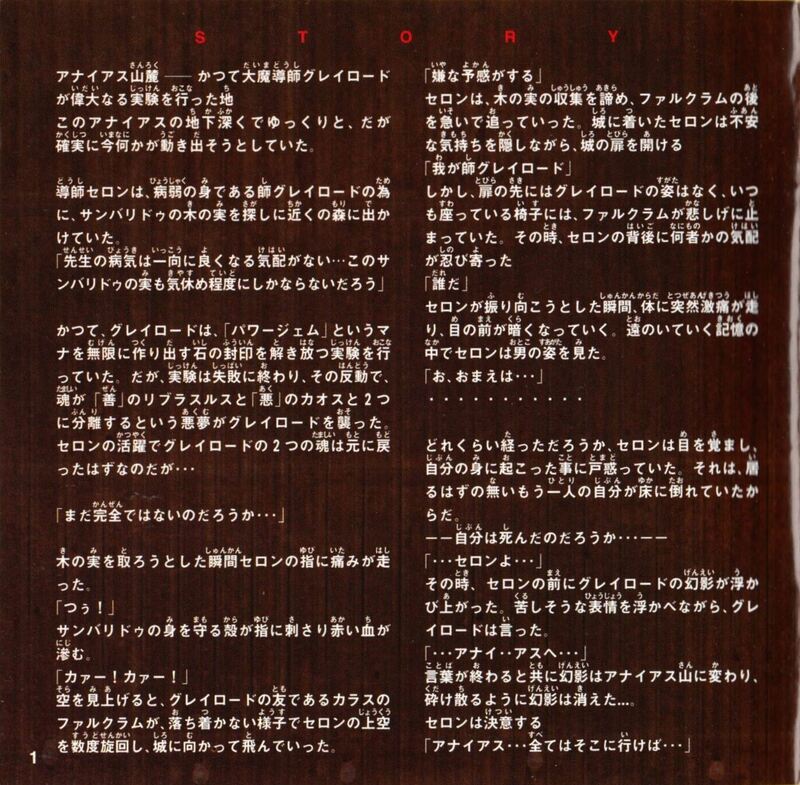 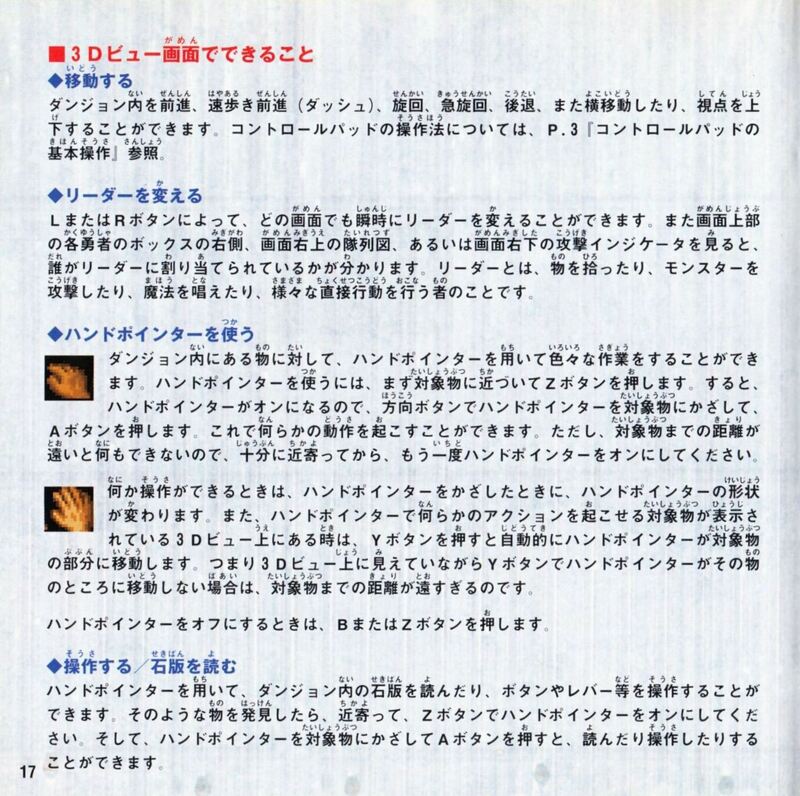 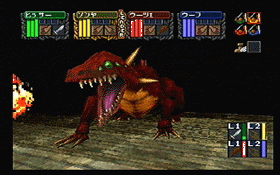 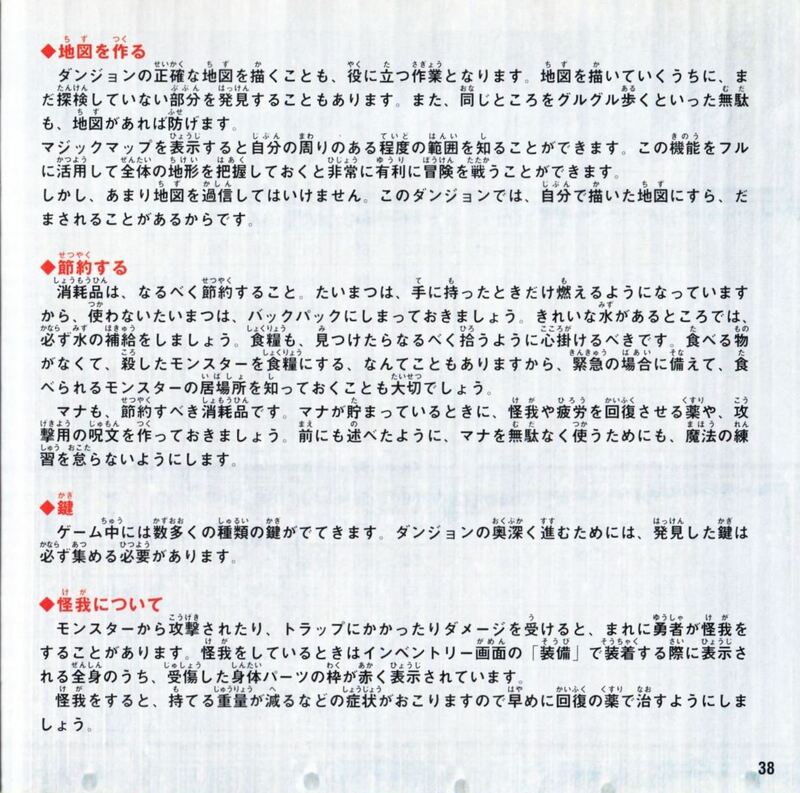 The clip shows CG videos and in-game action with some Japanese text messages. 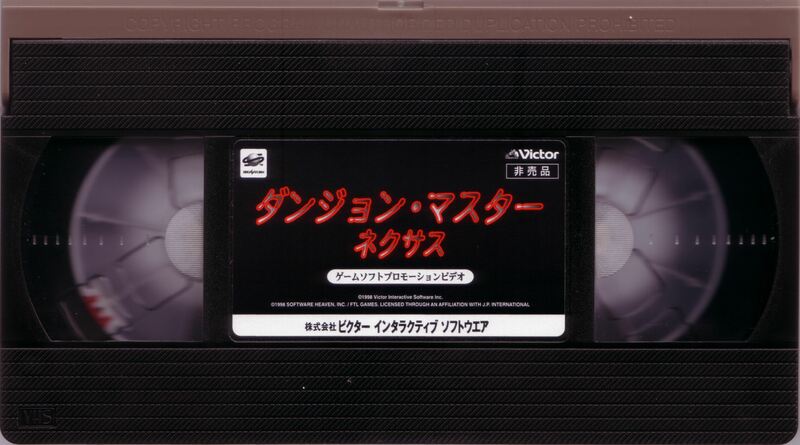 The soundtrack consists of music only without any dialog. 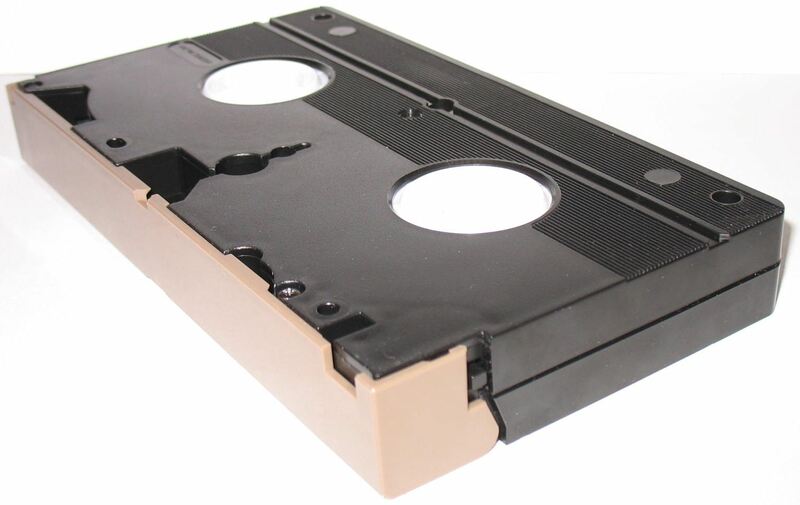 At the end of the tape, there is a black sequence (22 seconds) followed by a message (62 seconds). 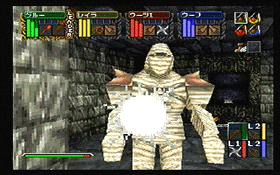 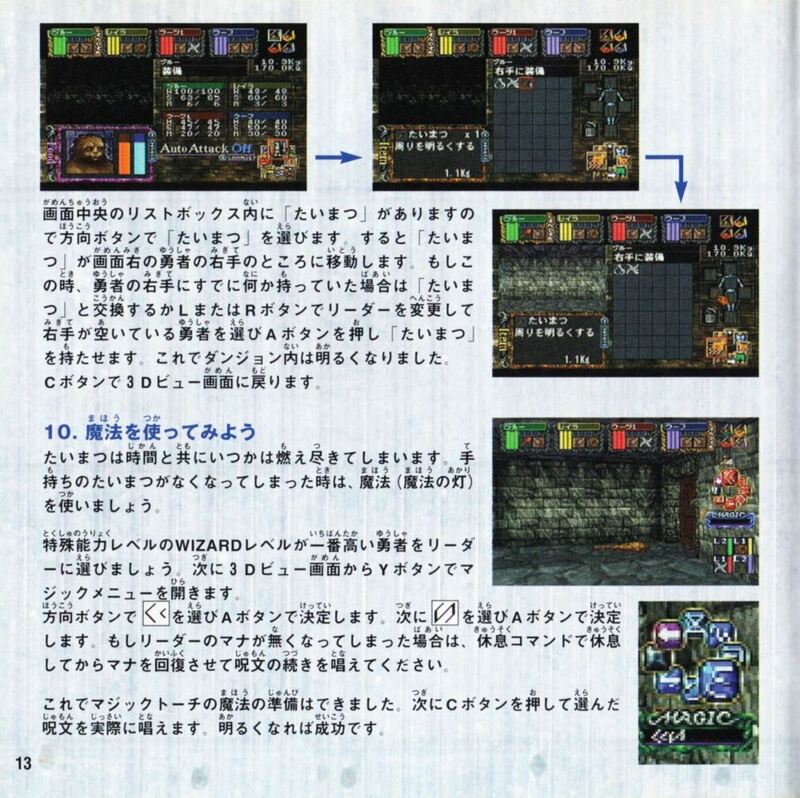 The captured video at Dungeon Master Nexus for Sega Saturn Promotional Video contains the last run of the clip and the ending sequence and message (captions are available in Japanese, English and French).